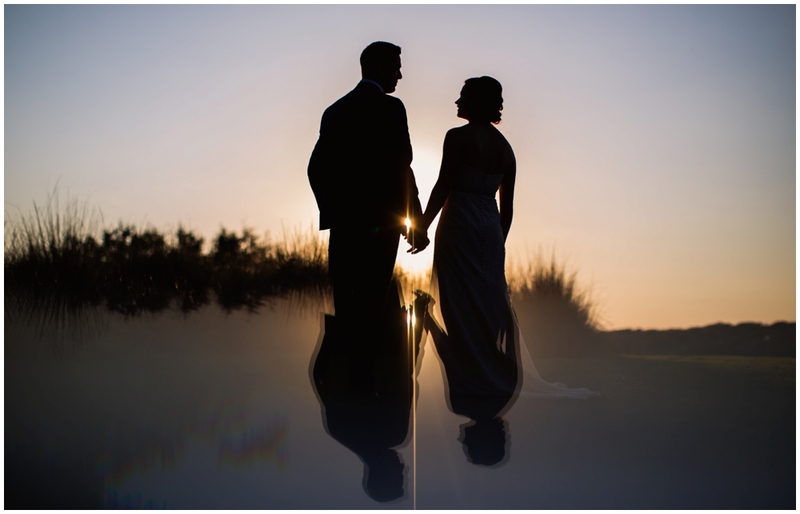 Each time I shoot a wedding, I feel like a detective, searching for clues that will help me tell a couple's story. 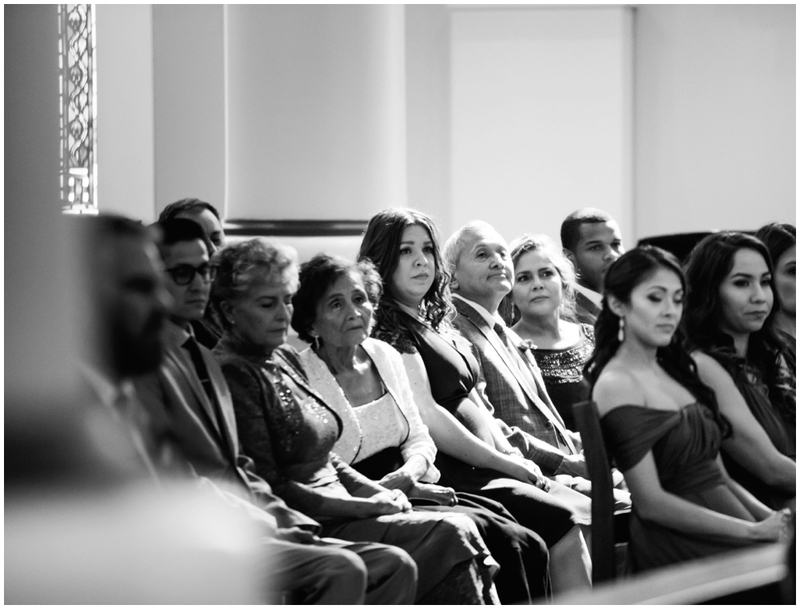 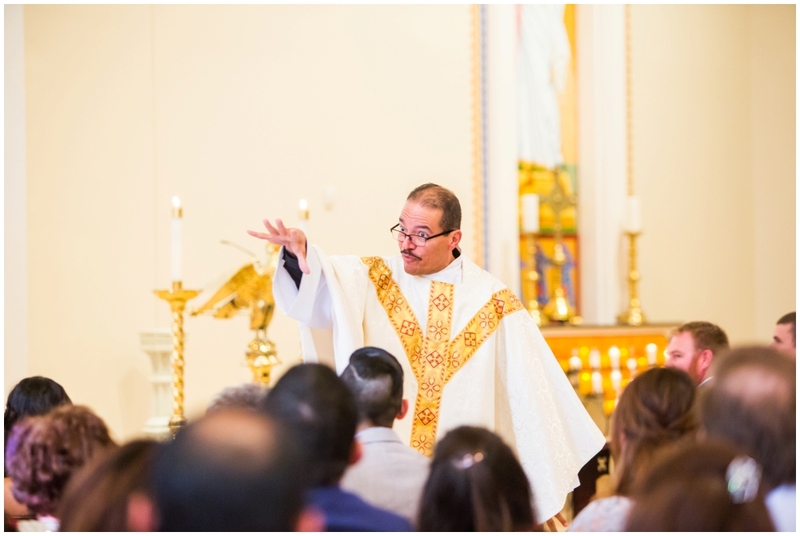 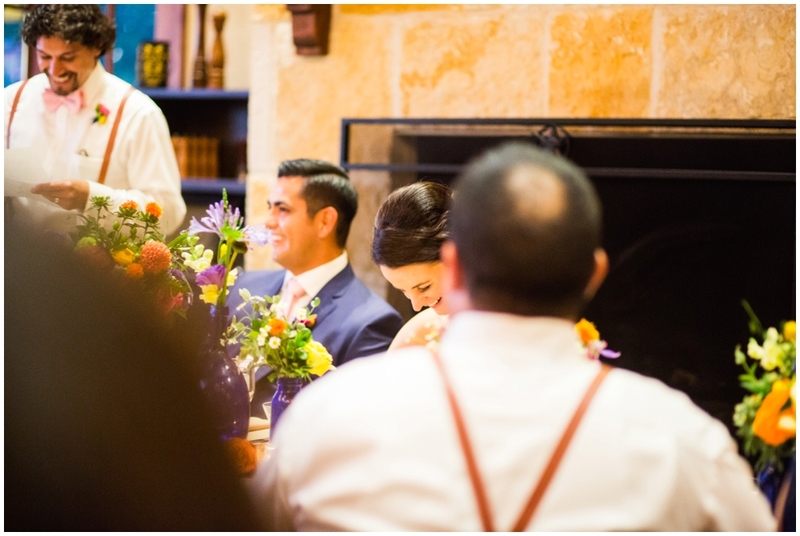 Those little hints show up in the surprises that the bride plans for her dad, the songs that a grandmother sings during the ceremony, the Juan in a Million tacos served for dinner, and of course, the words spoken during toasts. 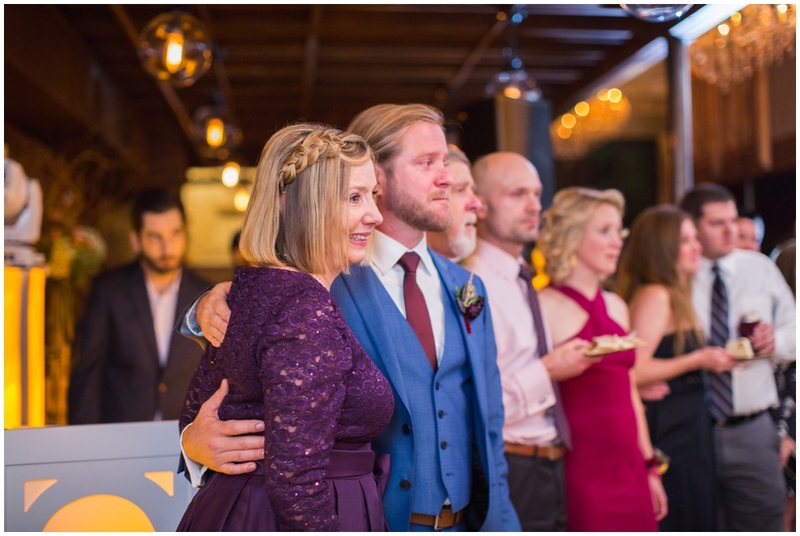 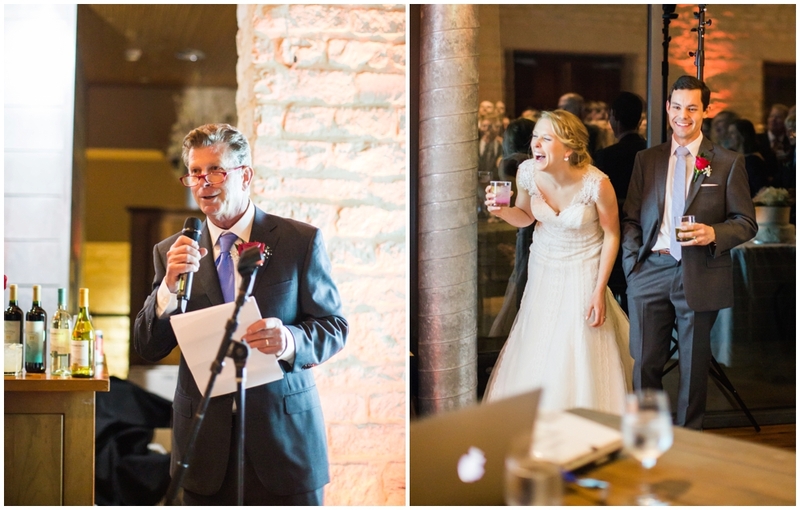 Wedding toasts are often cast as cliches or a chance to tell embarrassing stories, but in my experience, they give a rare opportunity for people to publicly express their love for their family & friends. 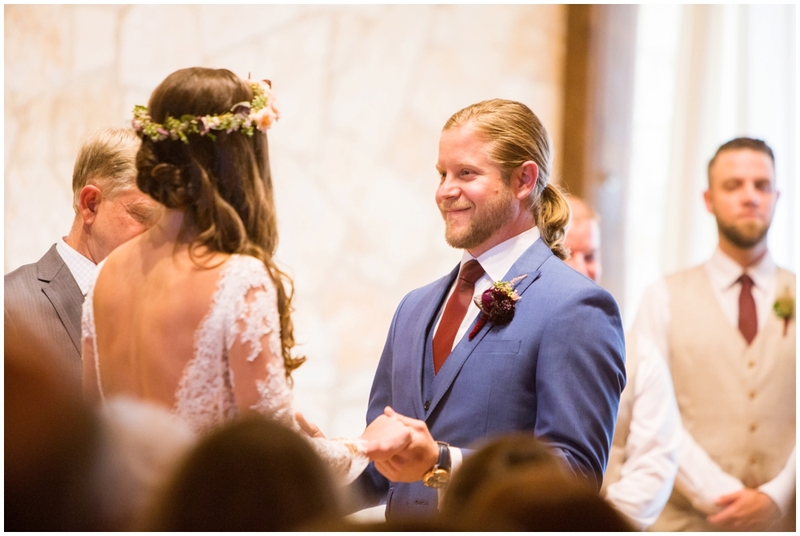 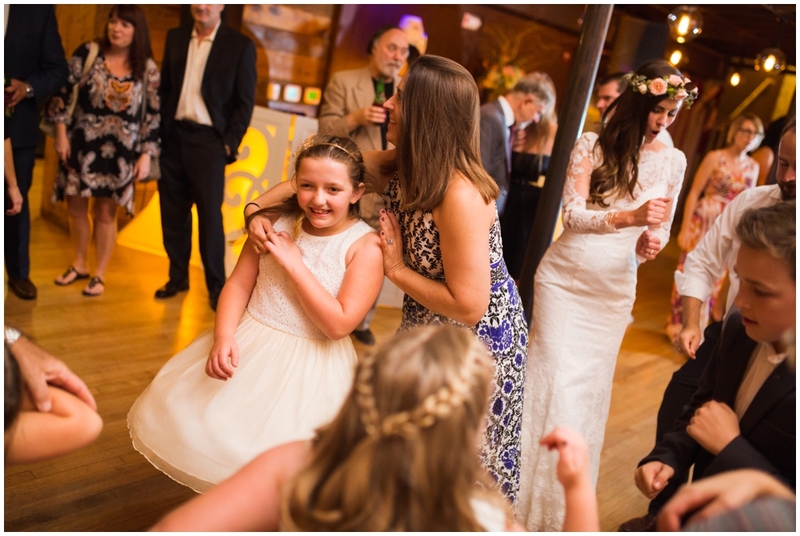 During Dilia & Matthew's reception, their siblings spoke of Dilia's kindness and generosity and Matthew's ability to squeeze every bit of life out of each moment. 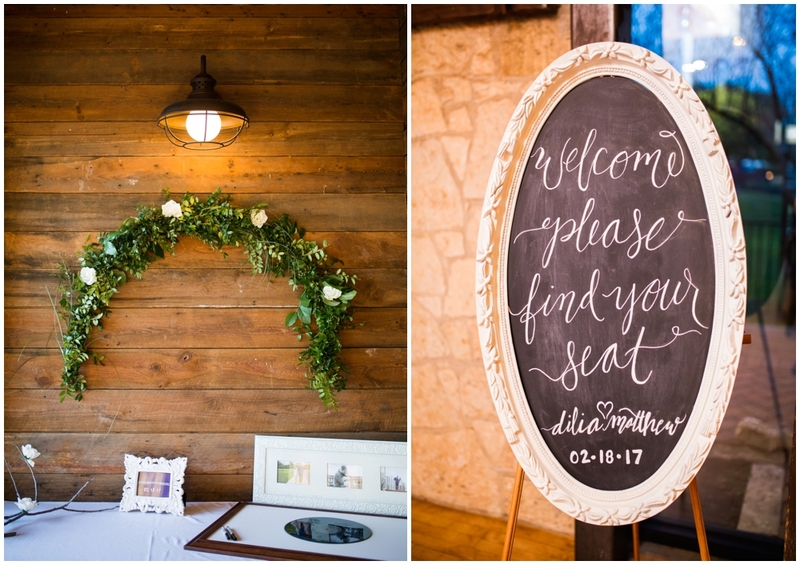 I have no doubt that those words resonated with all of the guests who have known the bride and groom for years, but it didn't take much detective work for me to notice the same things on their wedding day. 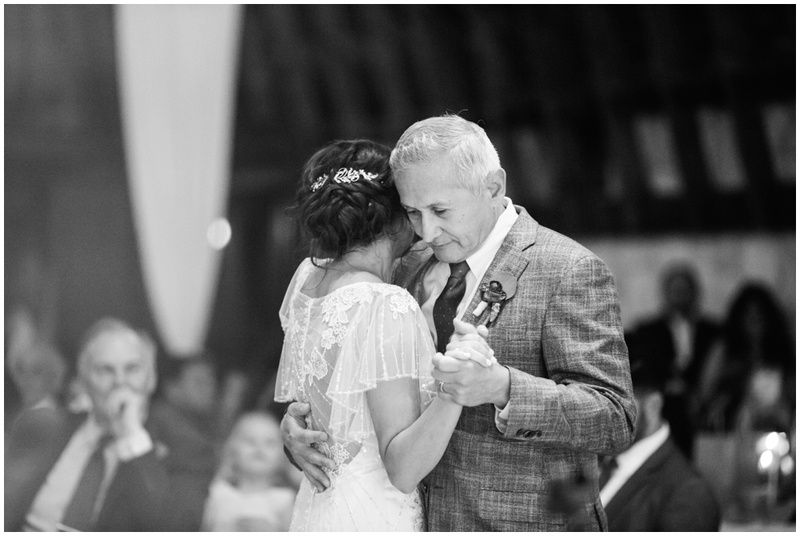 Most people give speeches with words to communicate their love, joy, and pride on a wedding day, but Michael shared photographs of his daughter. 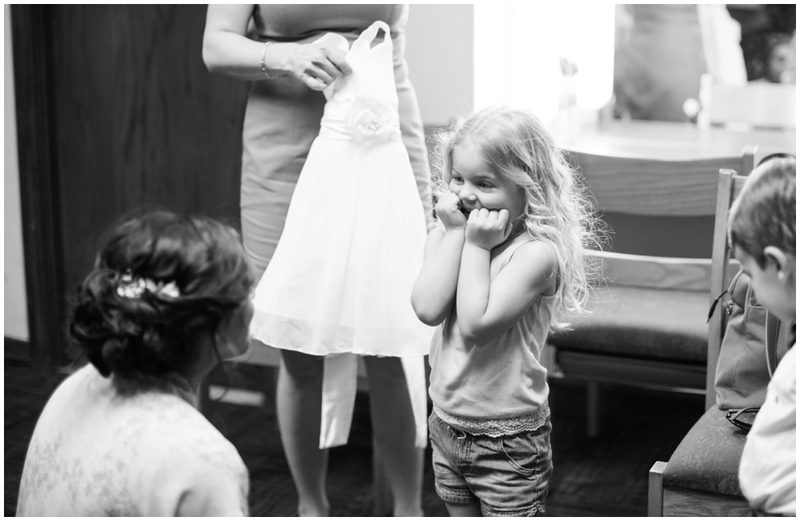 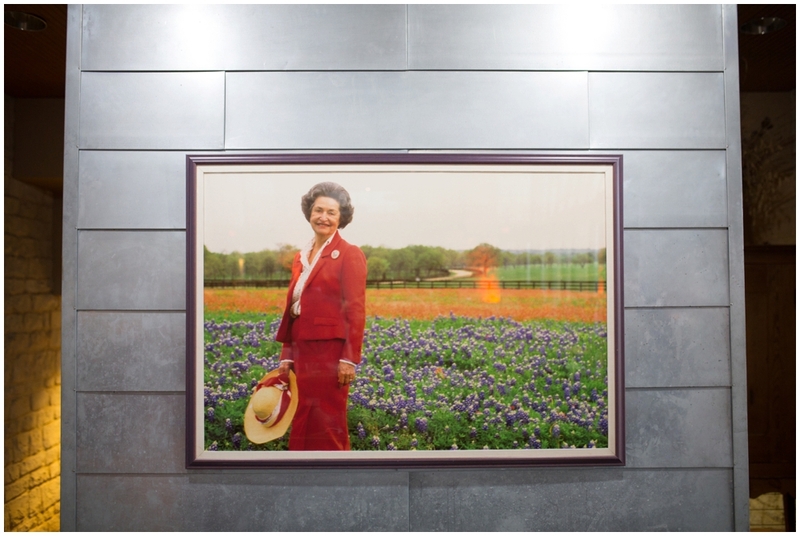 Audible gasps echoed around the room as each new photograph came up on the screen. 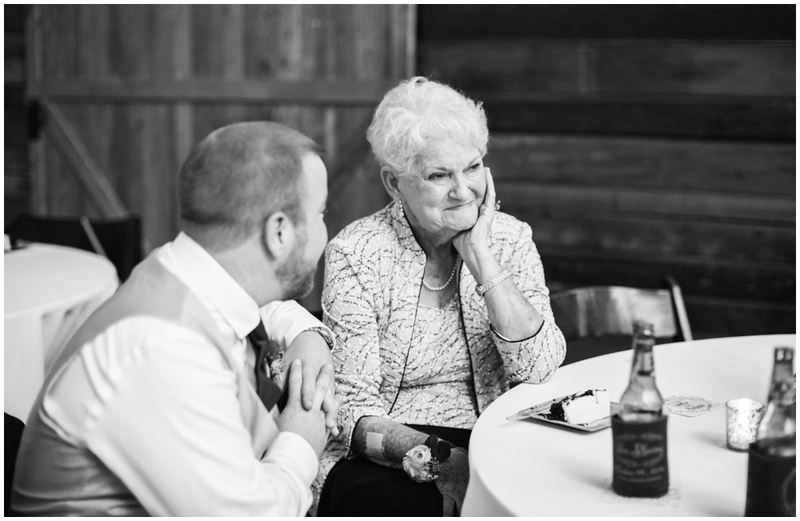 When the people you photograph are the people you have loved, the force of that love in indelibly imbedded in those photographs. 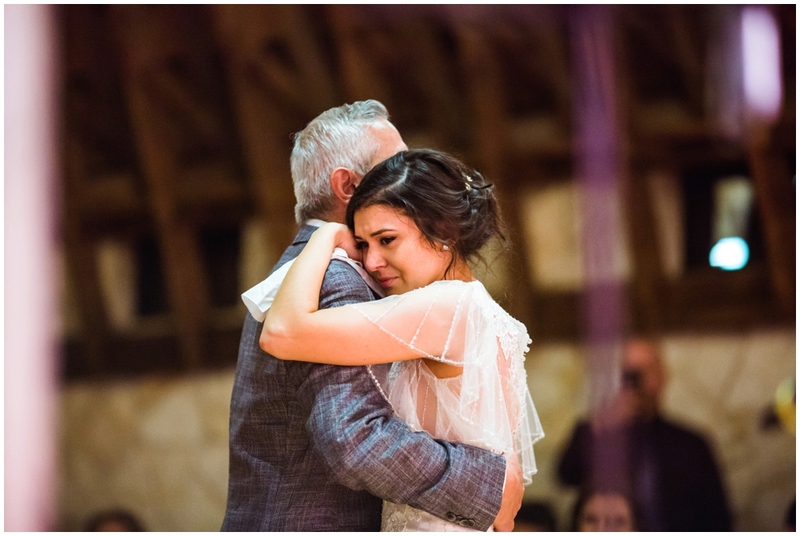 It helps that Michael is a talented and renowned photographer, but in that moment, he was just a proud dad showing his love in the best way he knew how. 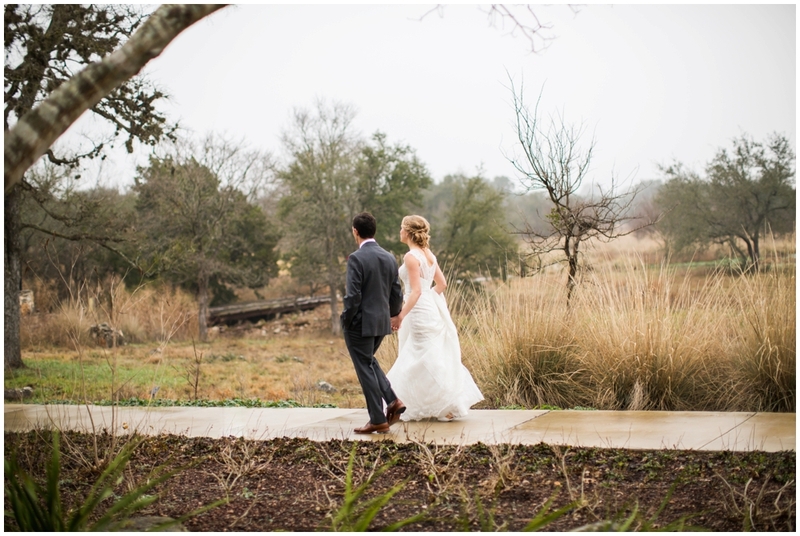 Having known Owen since our brothers started playing soccer together more than a decade ago, I find it only fitting that these two adventurous and well loved people got married outside on a misty day with stretches of wild land behind them and almost 20 dear friends beside them, not to mention the hundreds of family and friends there in support. 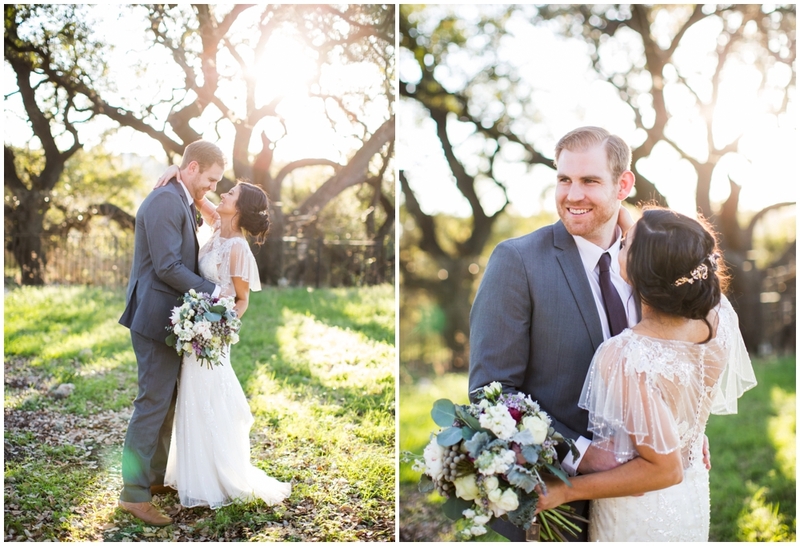 Brodie Homestead Wedding: Ashley & Ryan! 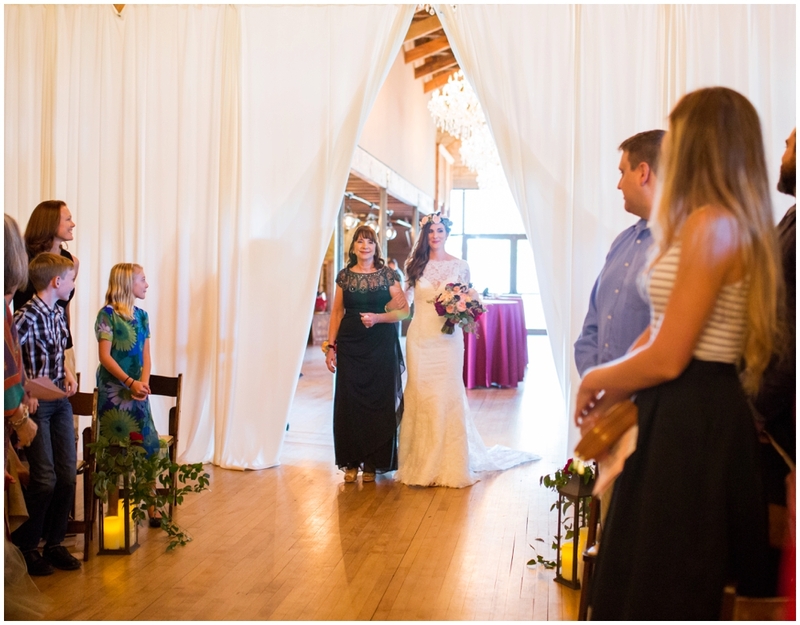 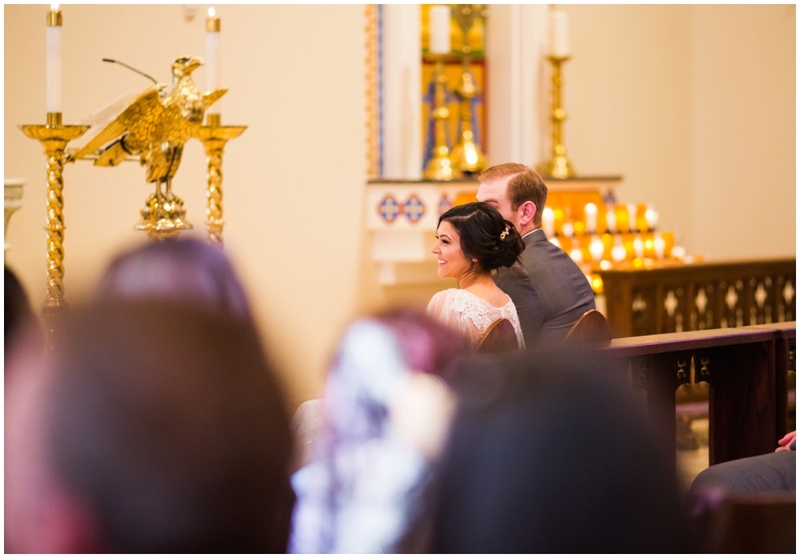 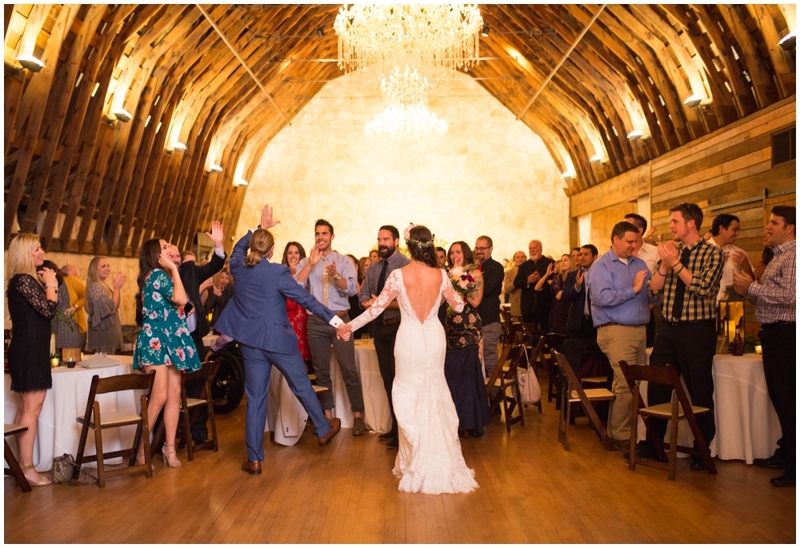 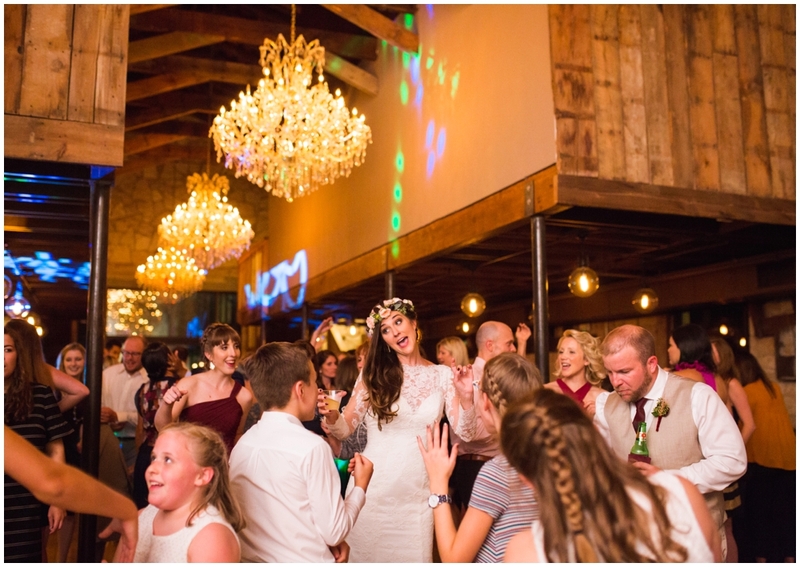 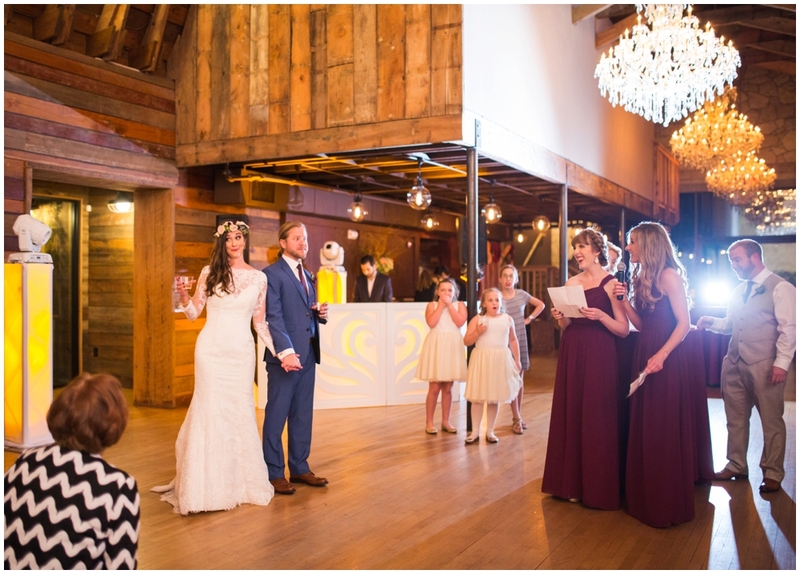 Having just finished their first dance as husband and wife, complete with the romantic dip at the end, Ashley requested the microphone and looked out at all the people gathered around her and Ryan. 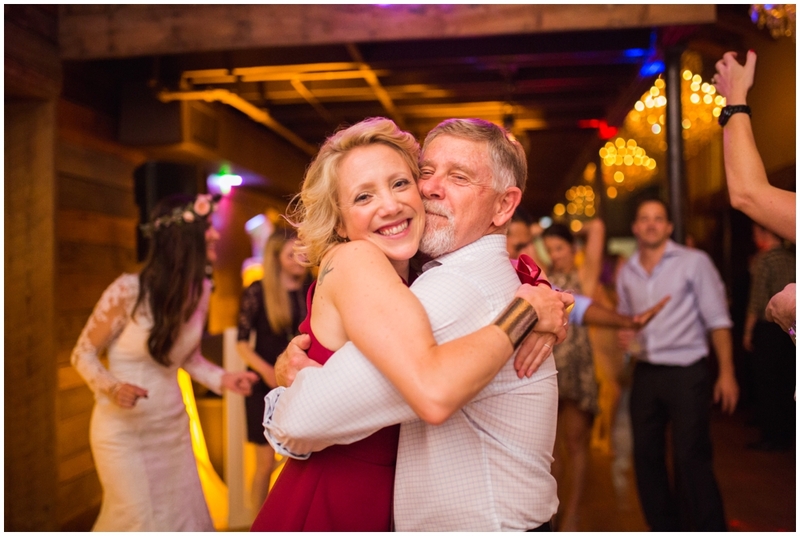 She then explained that since her father had passed away years ago, in place of a father-daughter dance, she wanted to dedicate a dance to her mom. 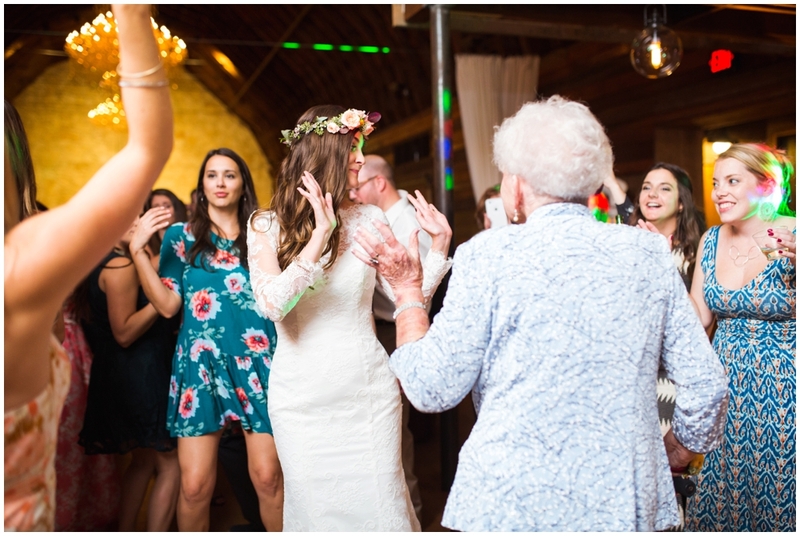 Ashley spoke of the strength and dedication her mom had shown while raising her three daughters and then of the song, Rise, by Andra Day, that she'd heard at ACL just a few weeks before. 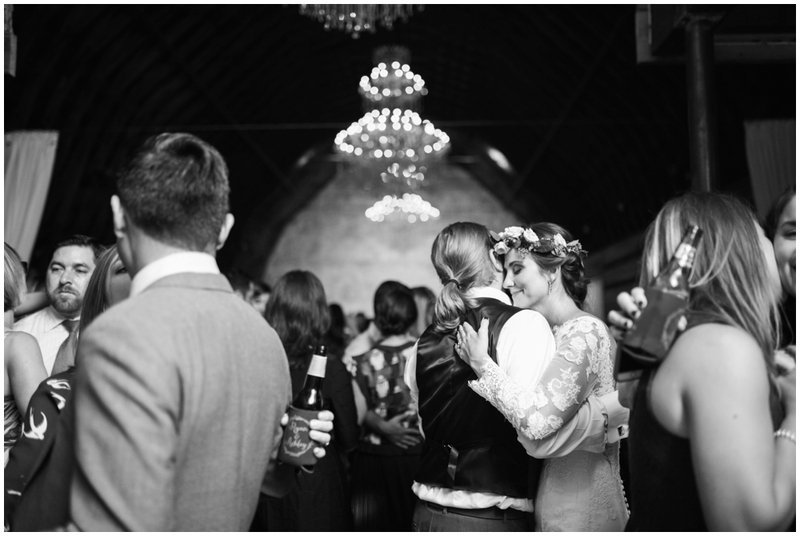 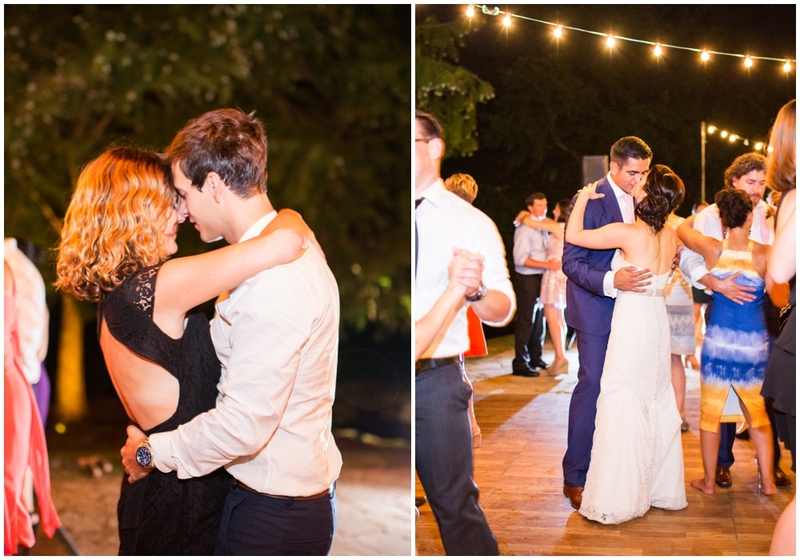 As they danced and the music swelled, I don't think that anyone even tried to hold back tears, myself included. 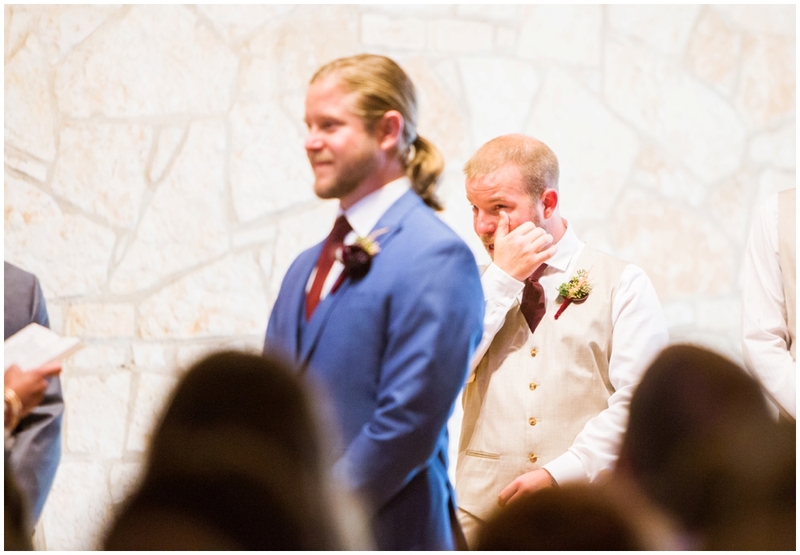 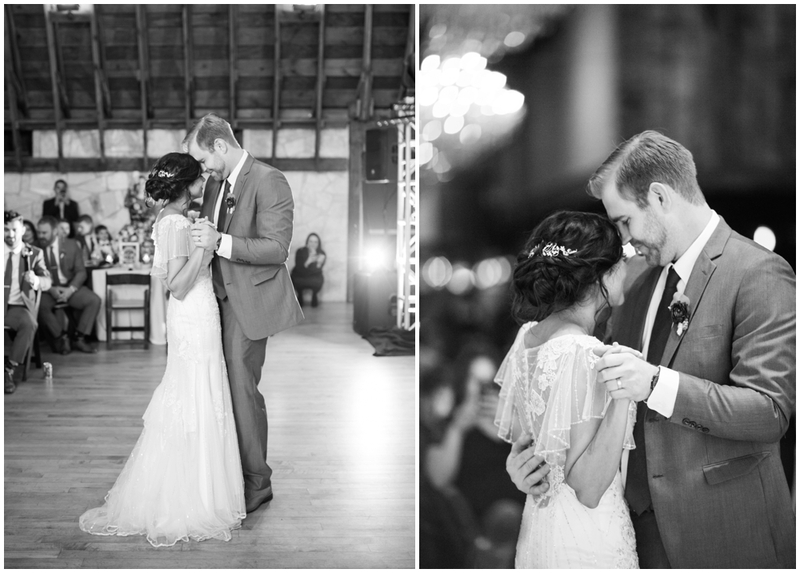 I looked over at Ryan, as he stood arm in arm with his family and couldn't help but marvel at the beauty of love. 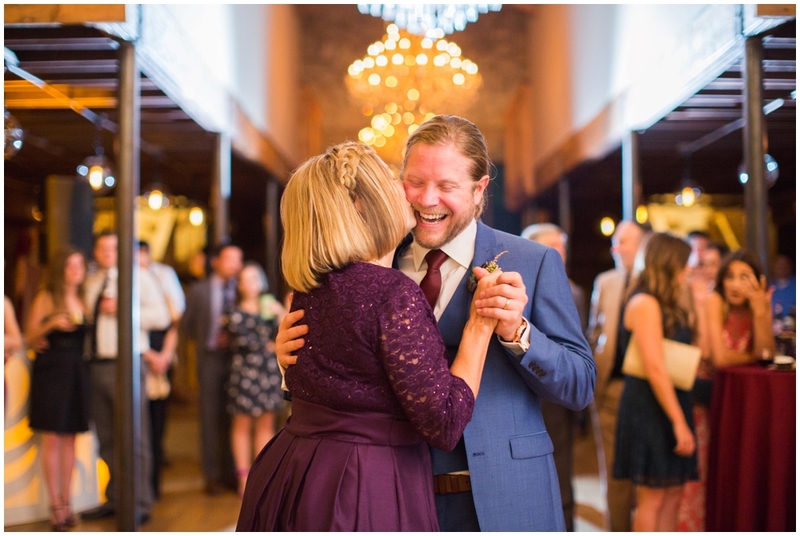 It's so much bigger than a wedding, yet so few times in life allow us the space to pay tribute to that love in the way it deserves, and for that, I'll always thankful for weddings. 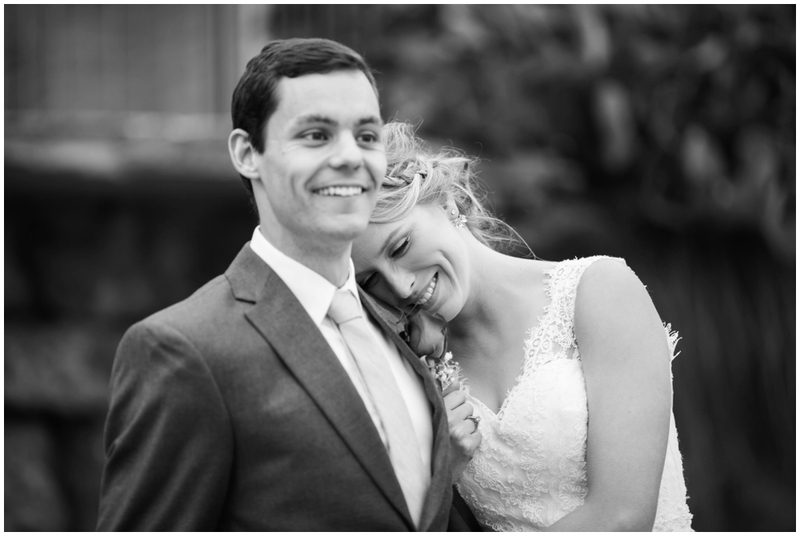 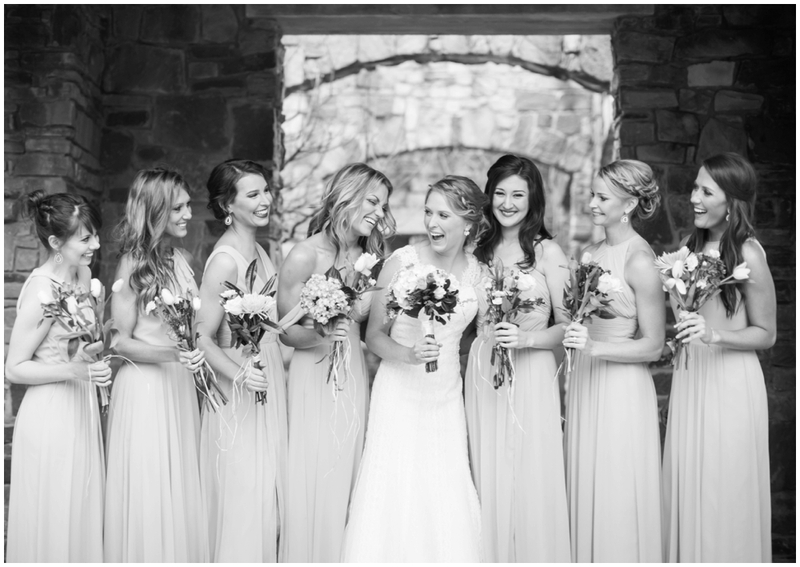 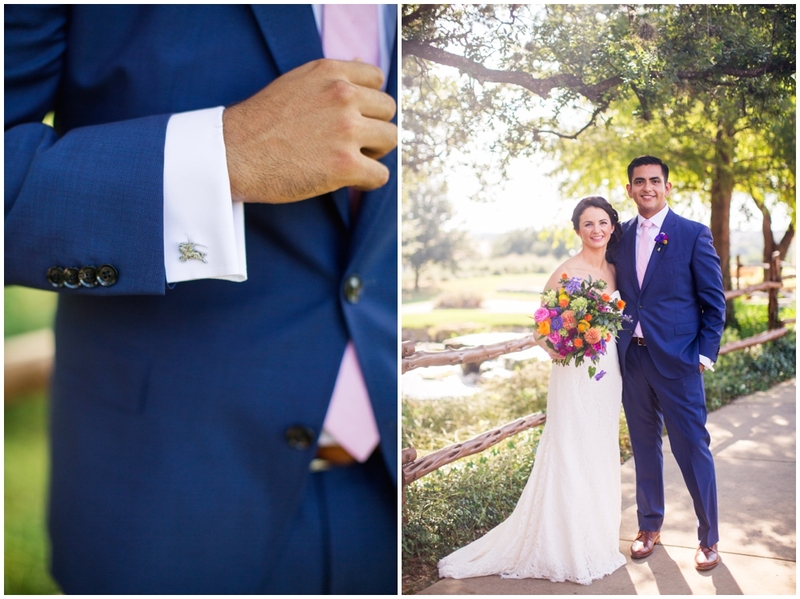 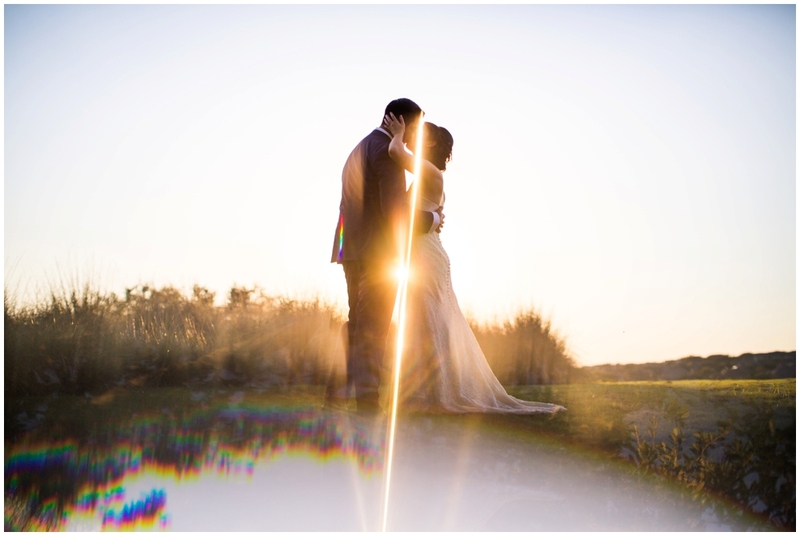 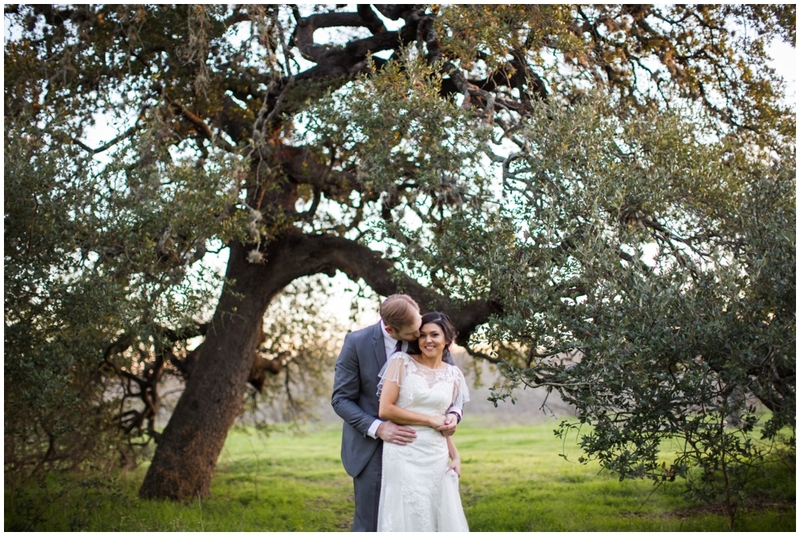 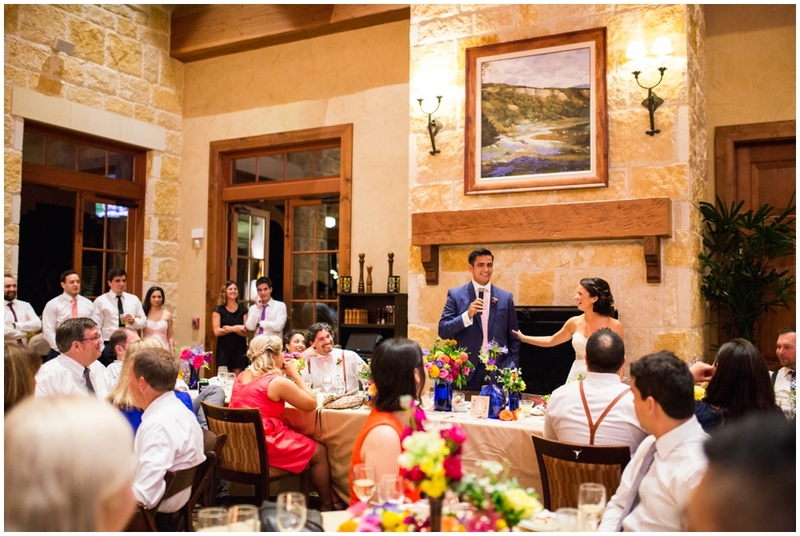 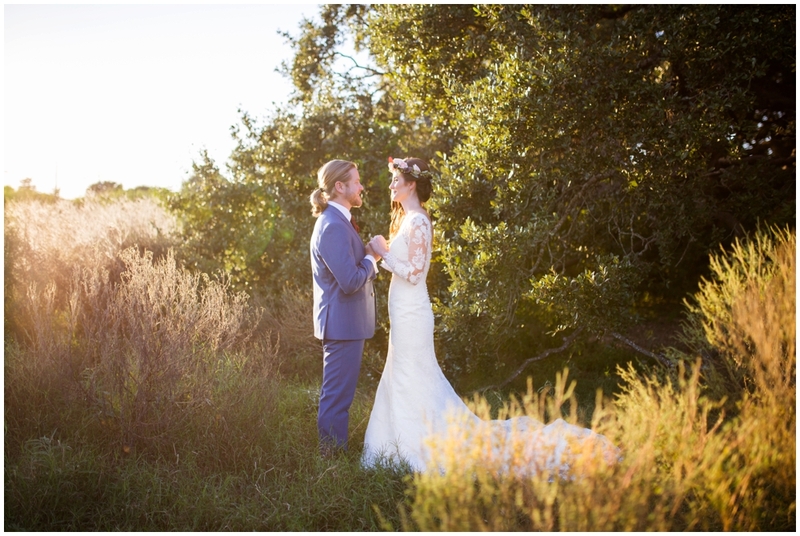 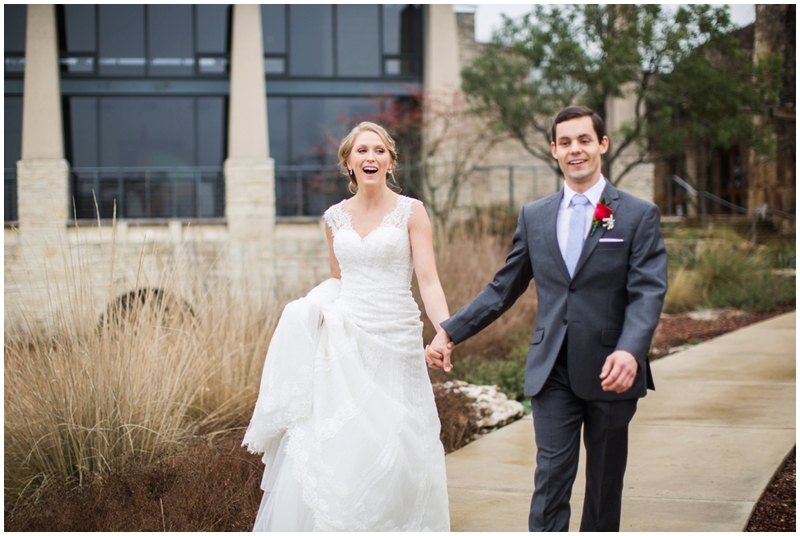 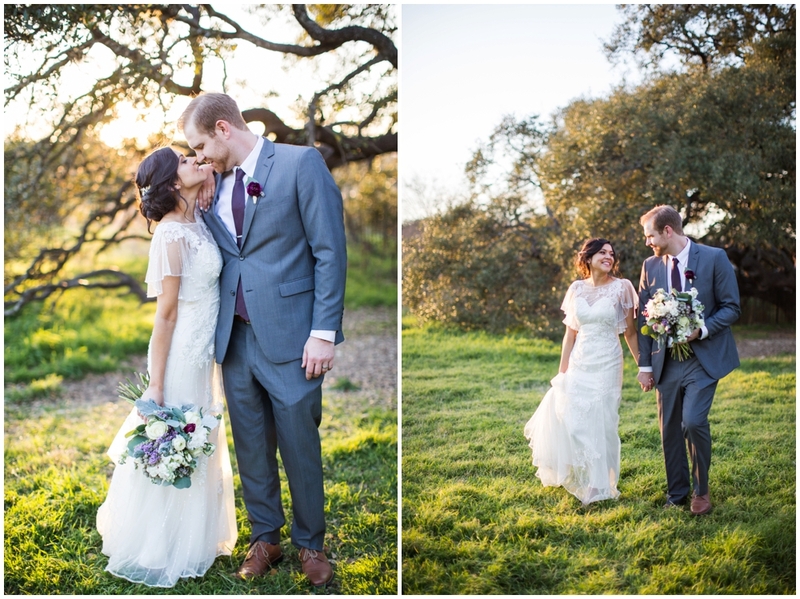 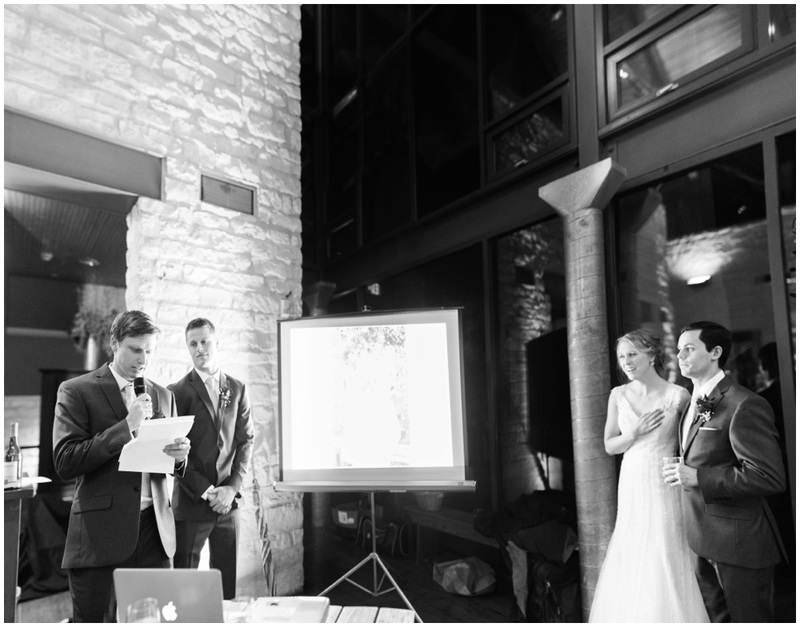 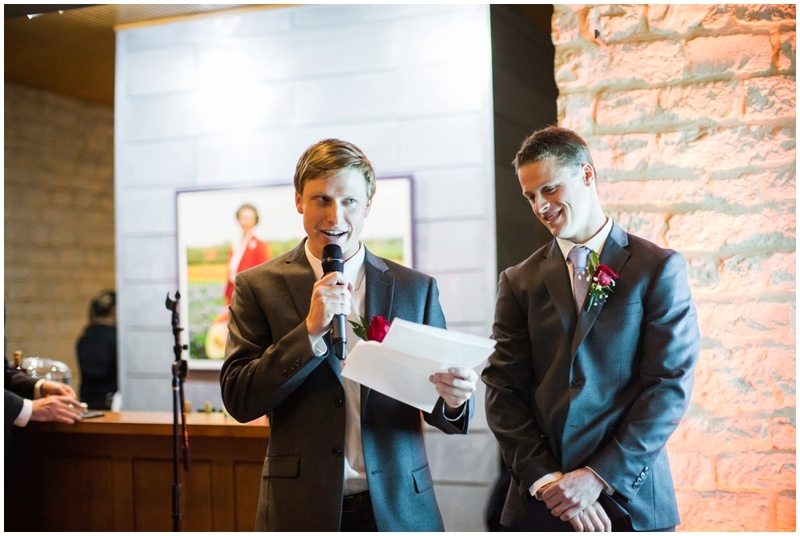 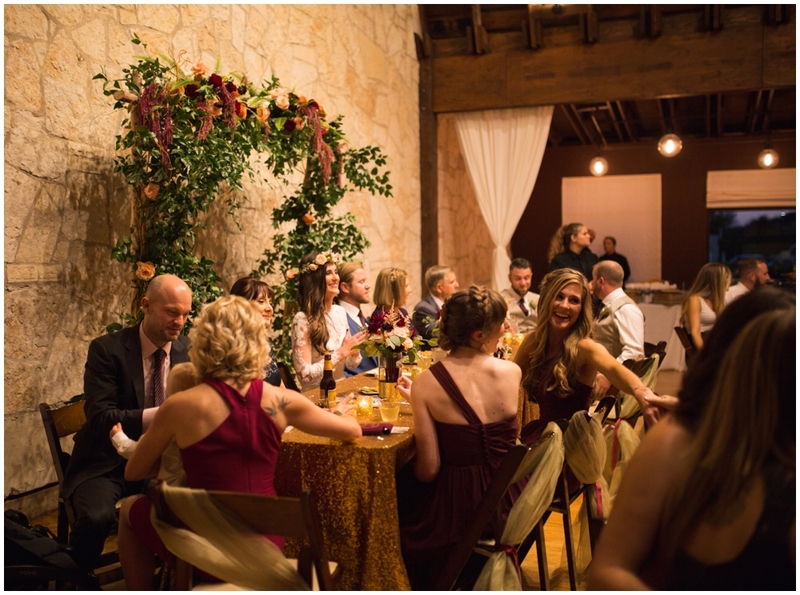 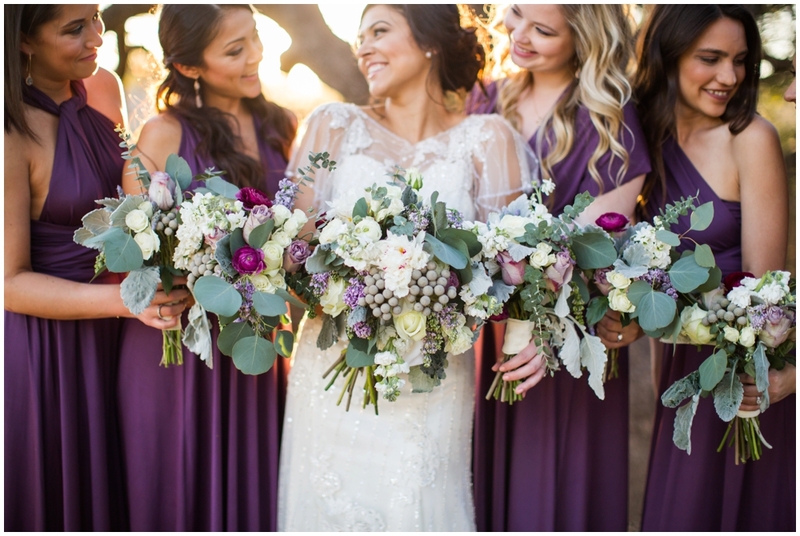 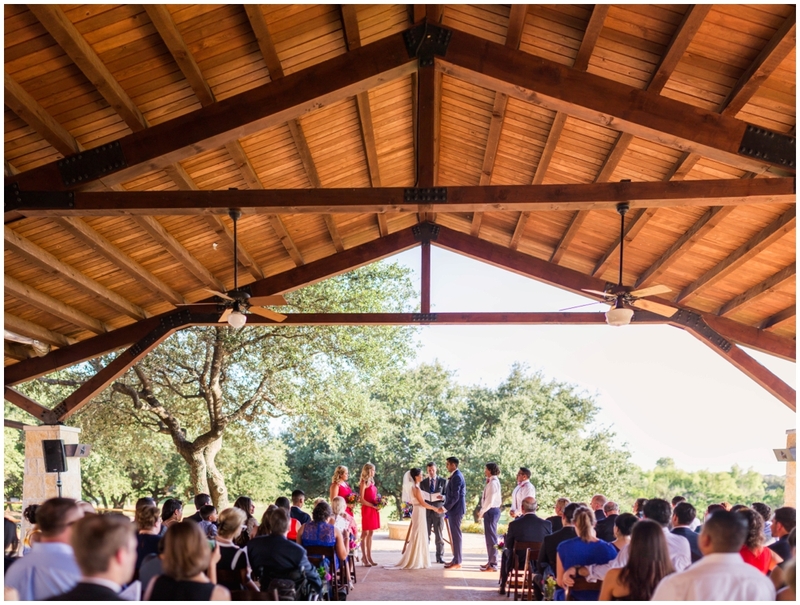 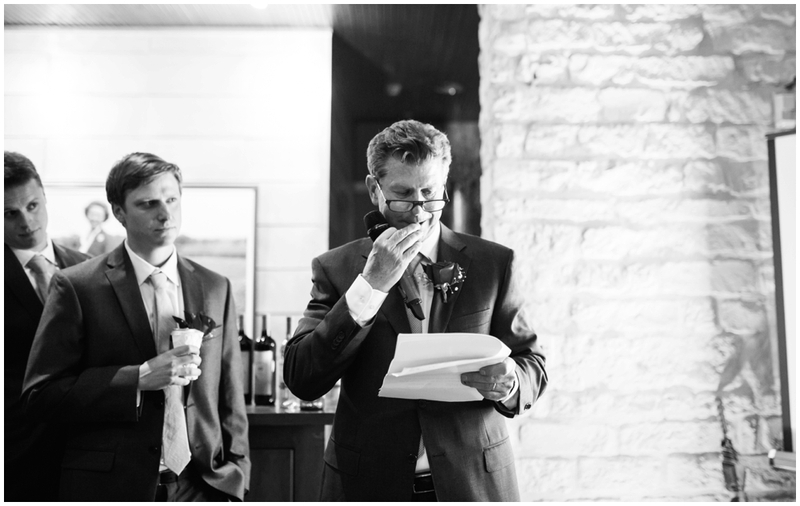 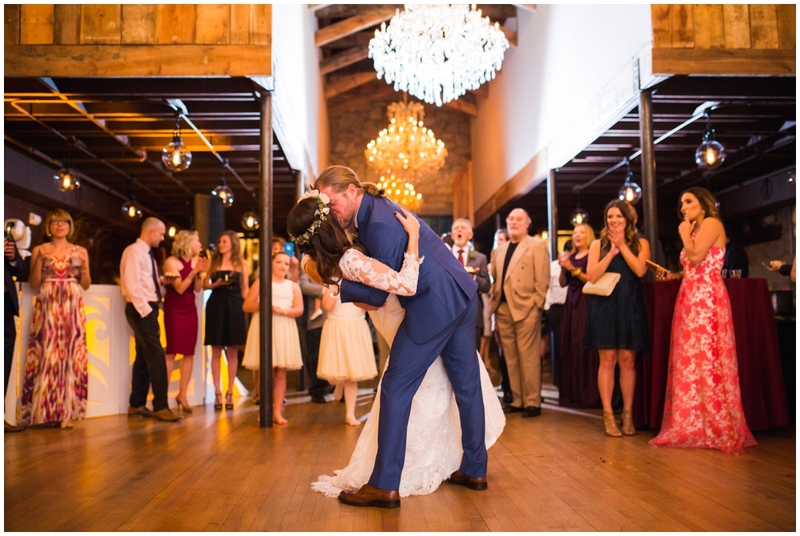 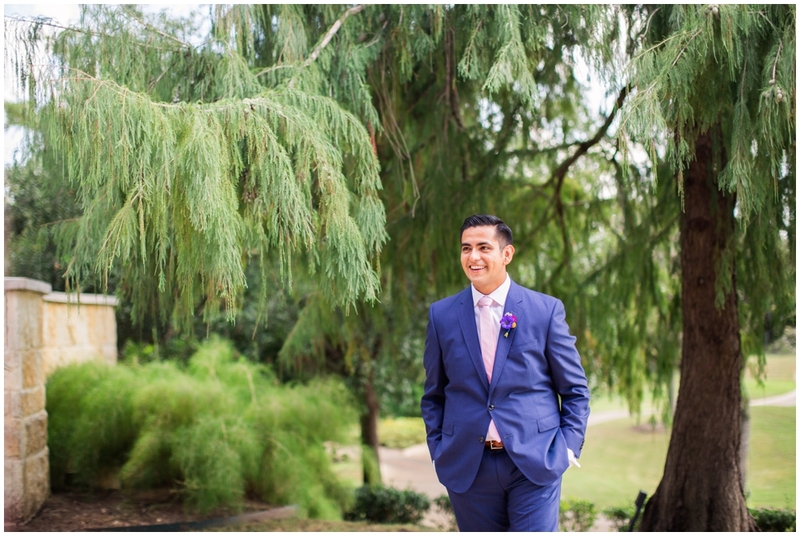 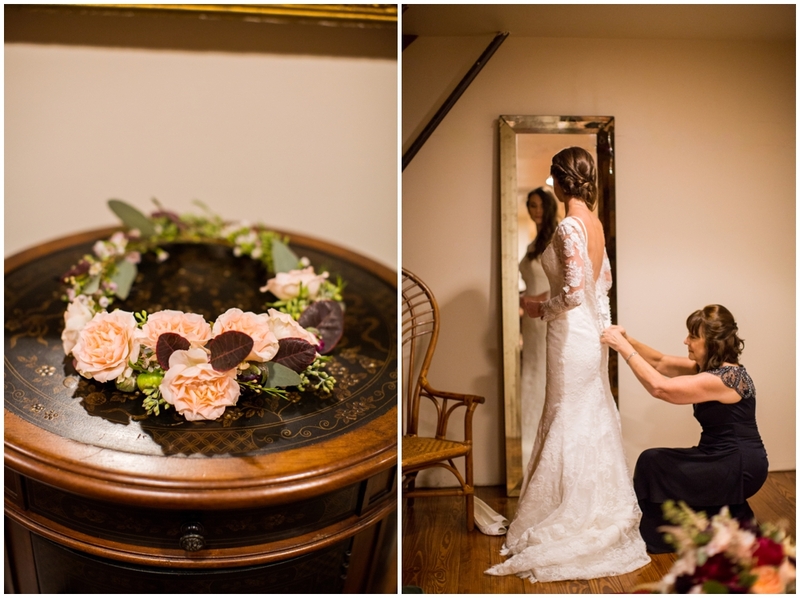 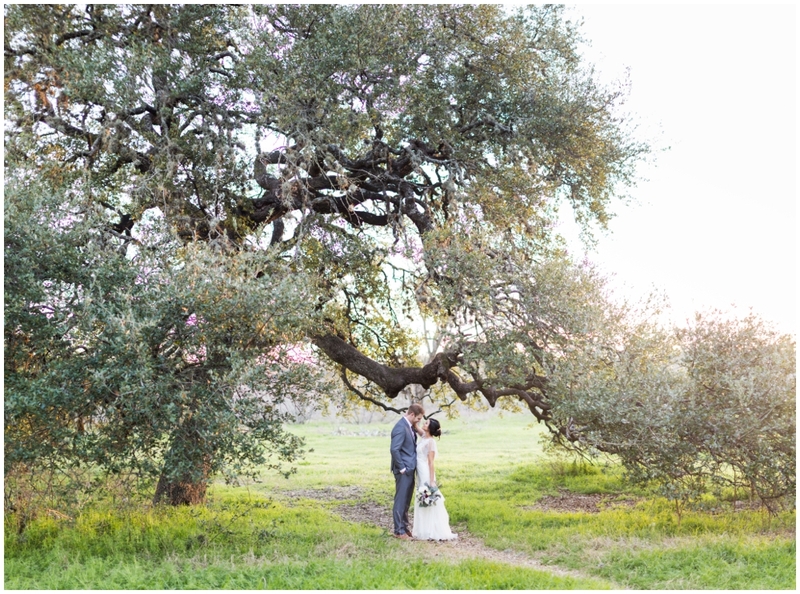 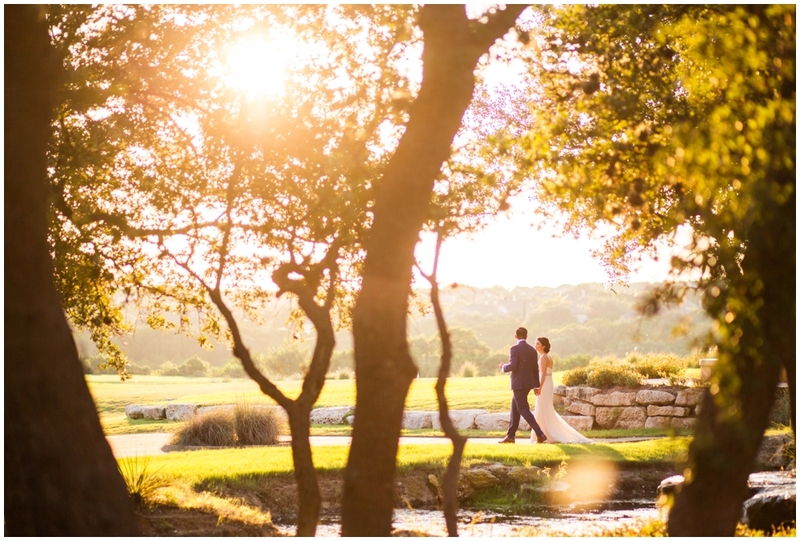 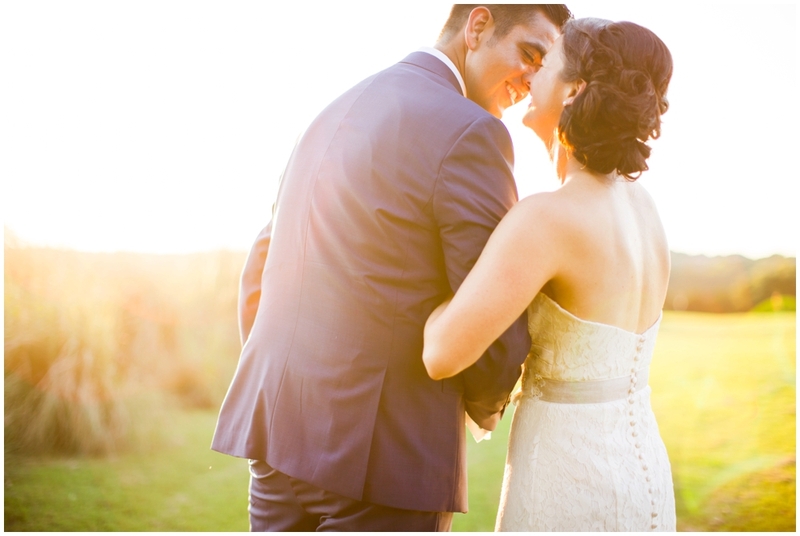 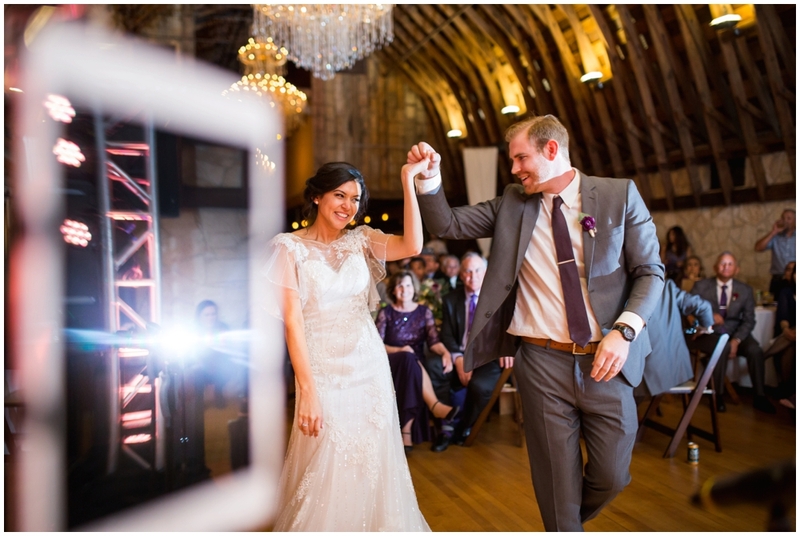 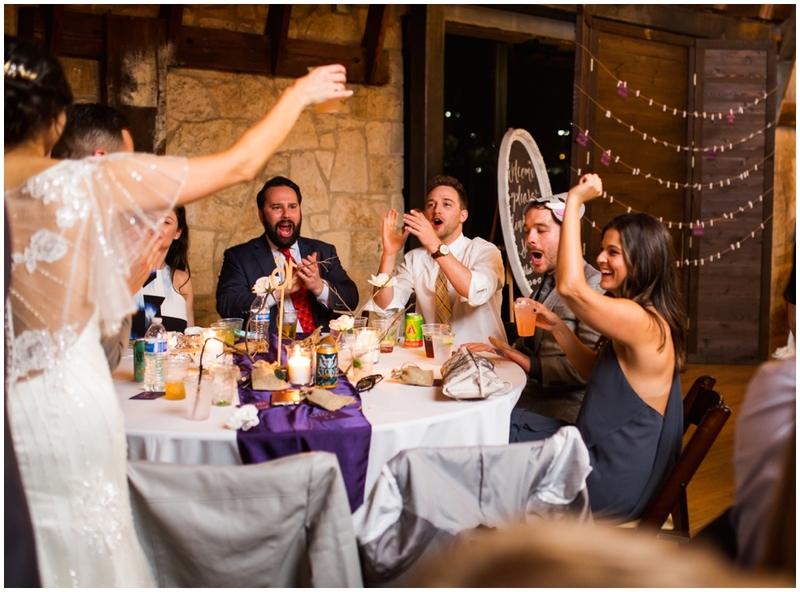 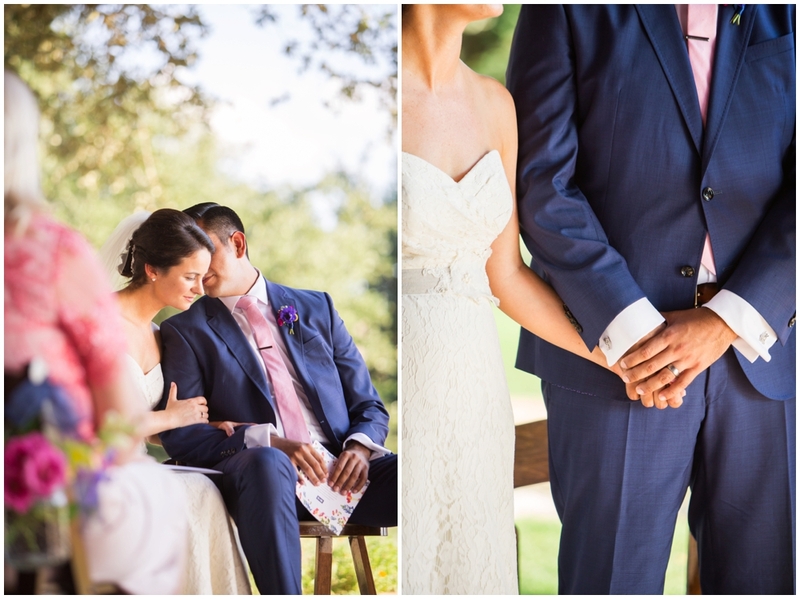 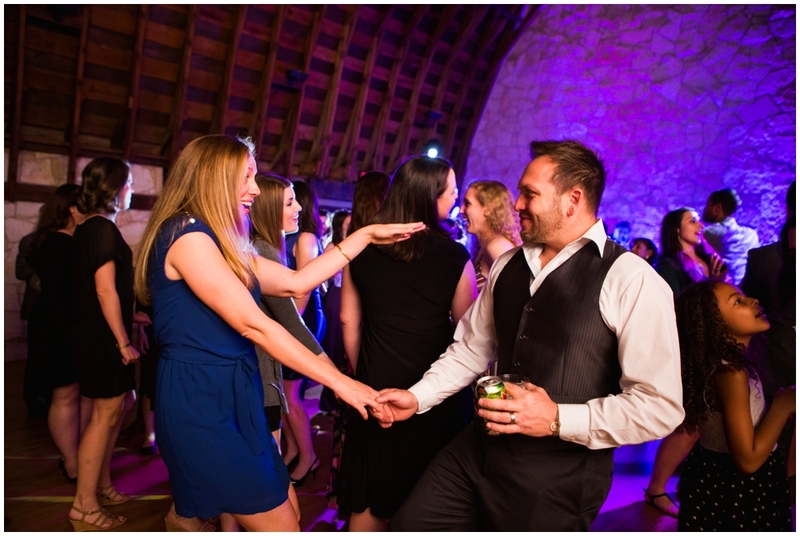 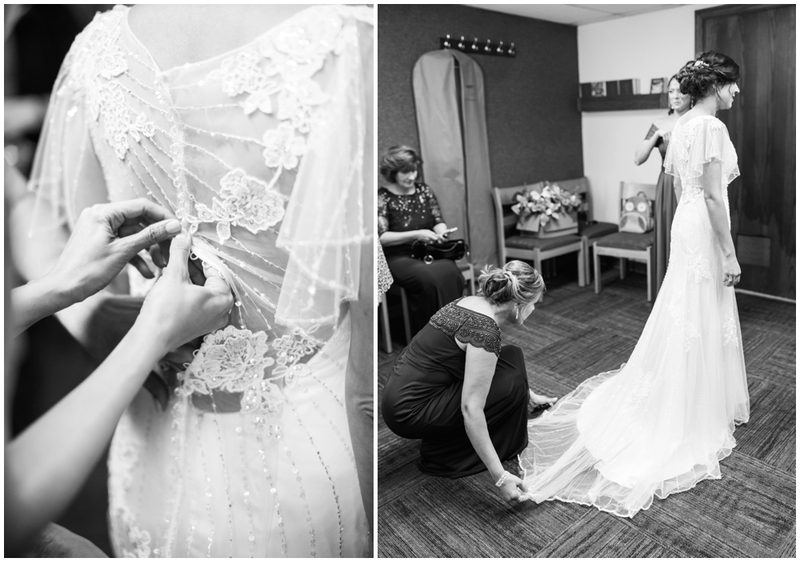 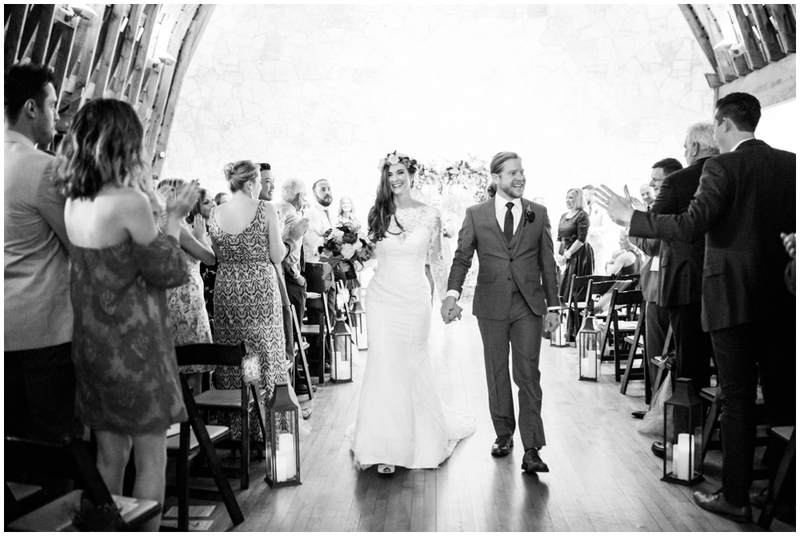 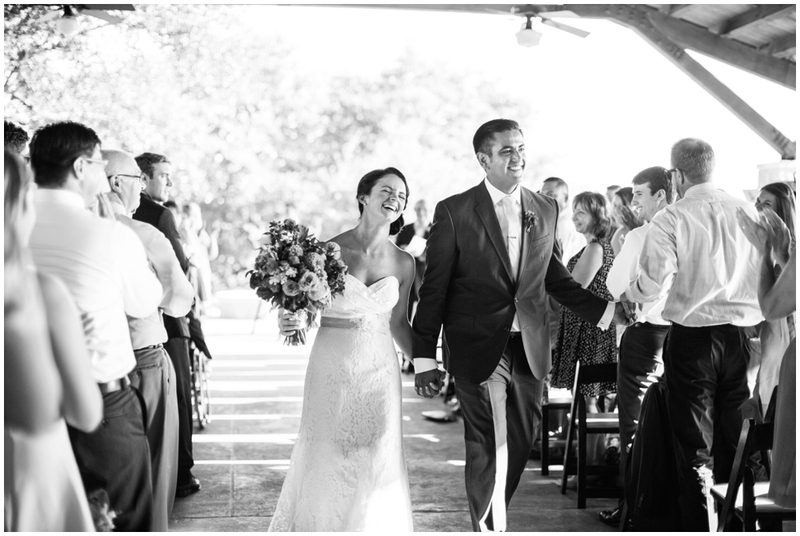 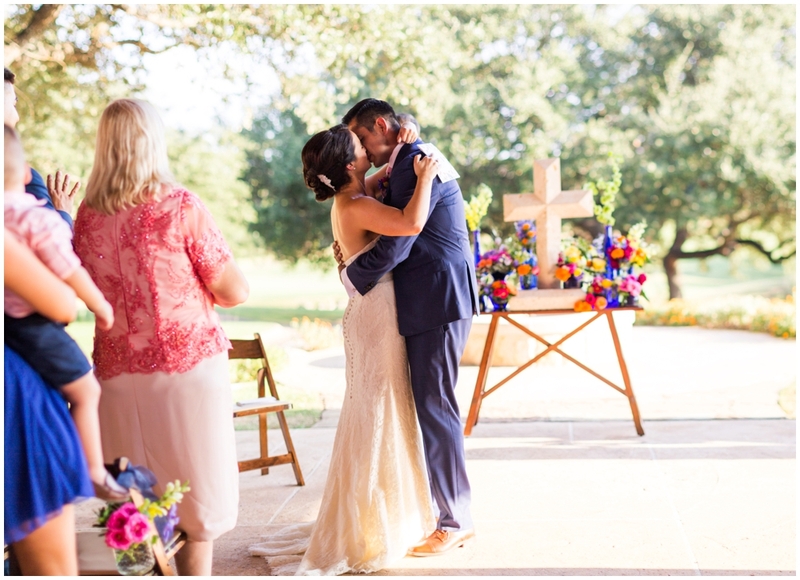 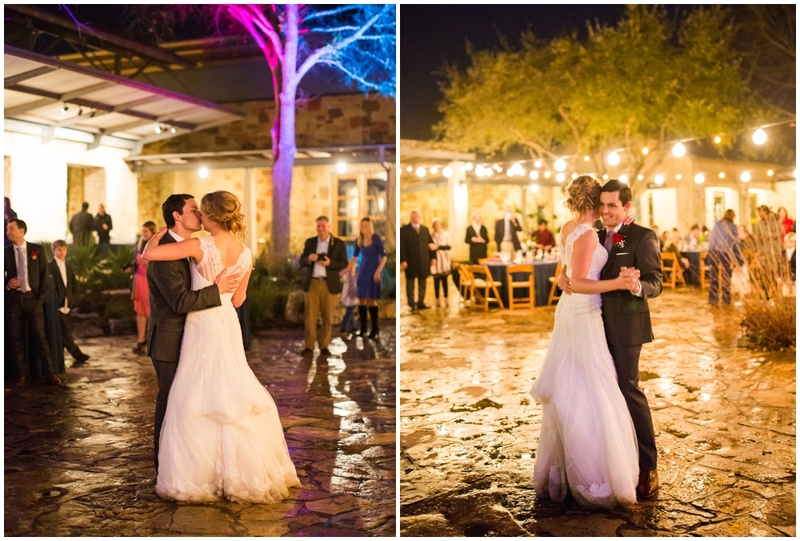 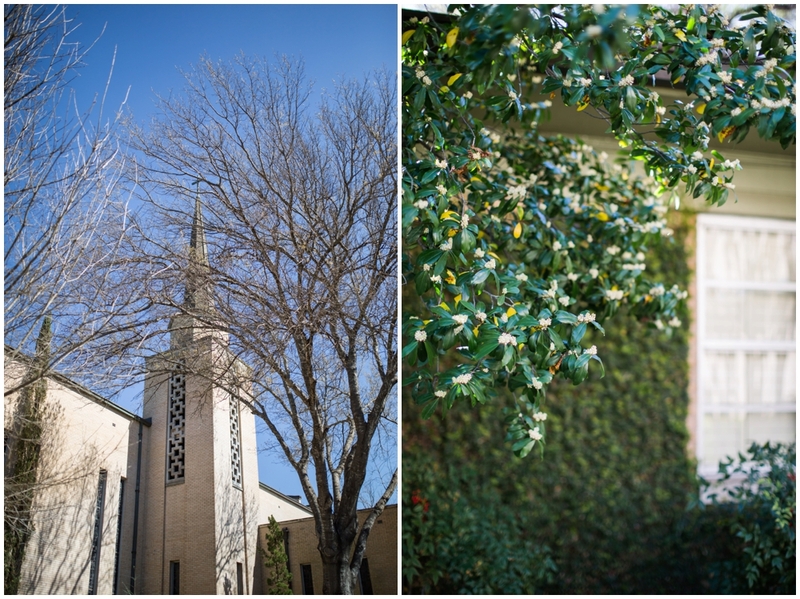 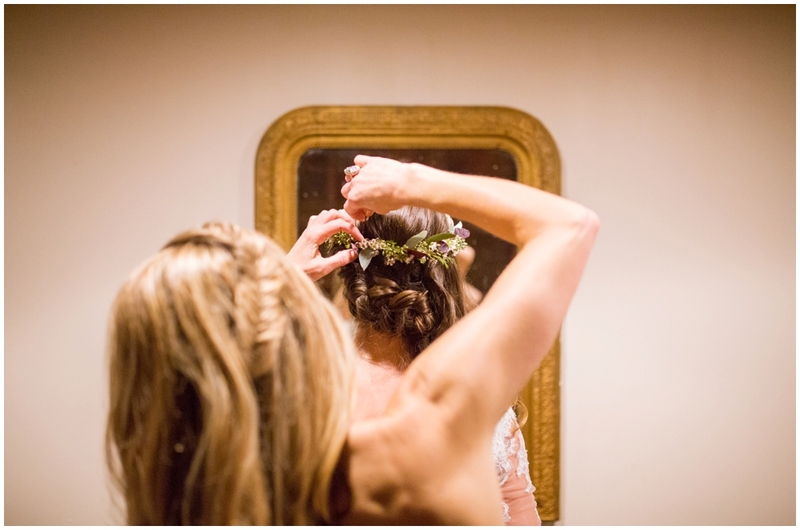 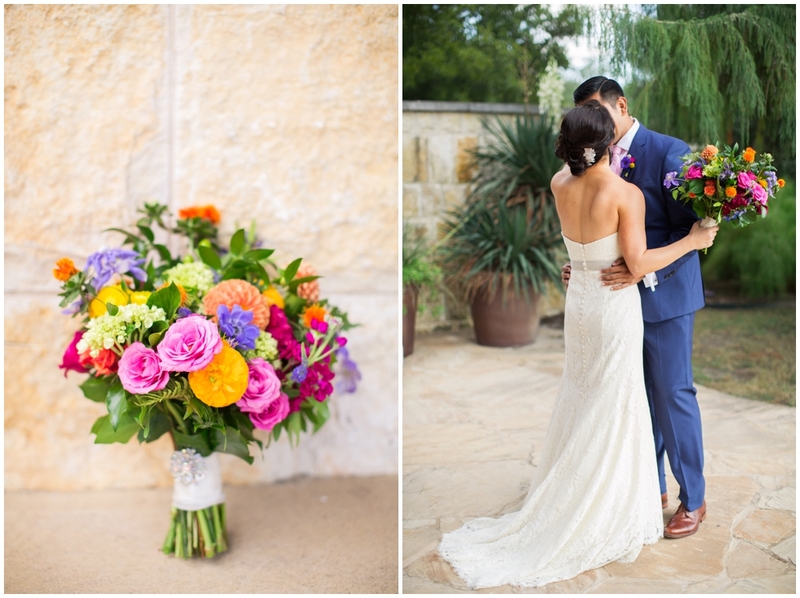 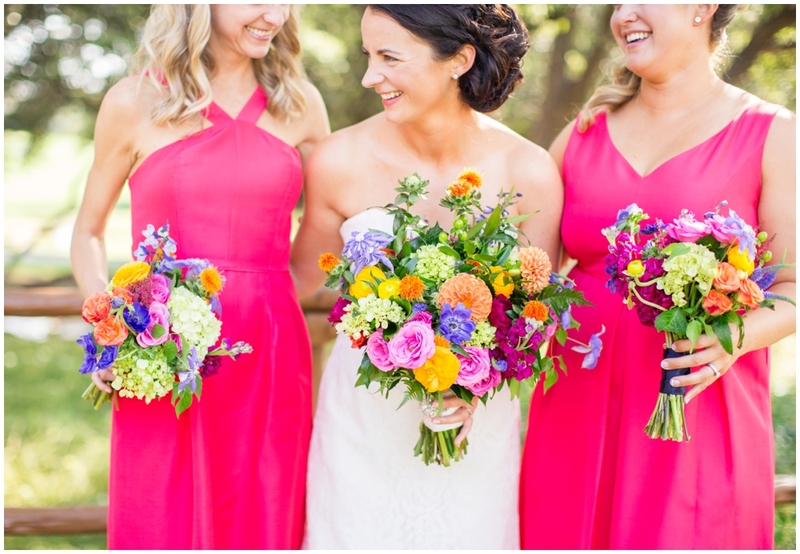 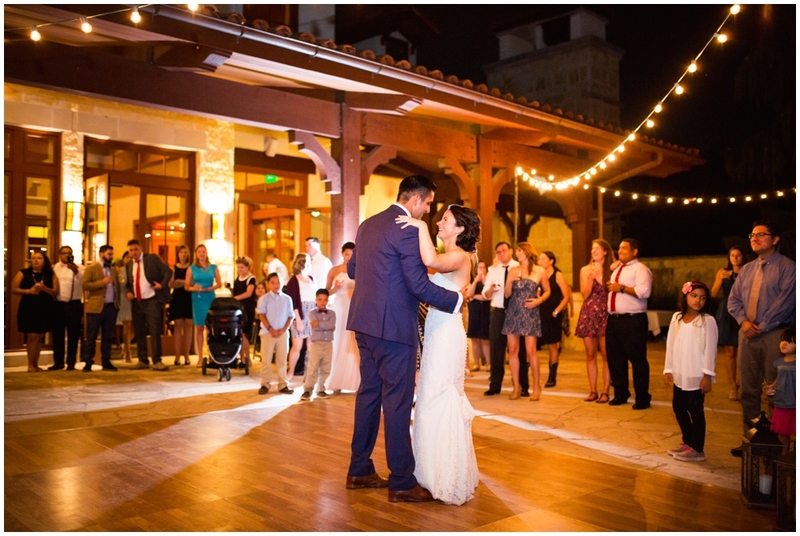 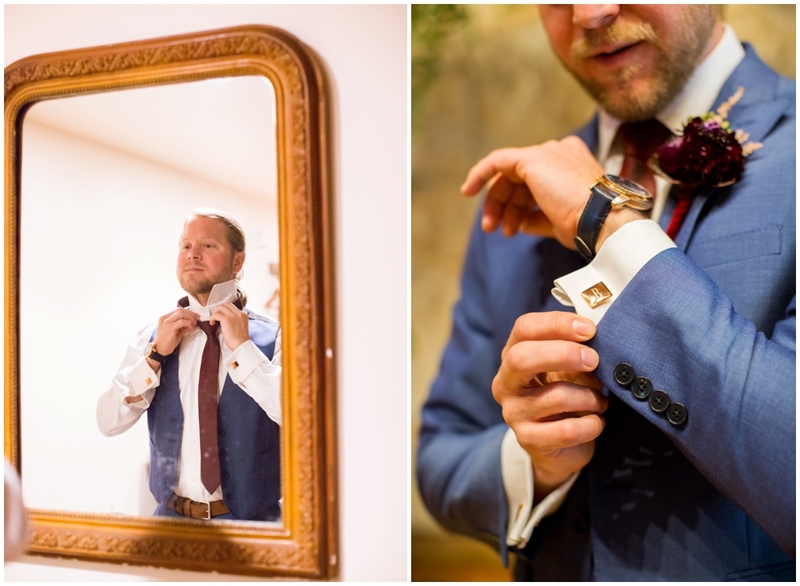 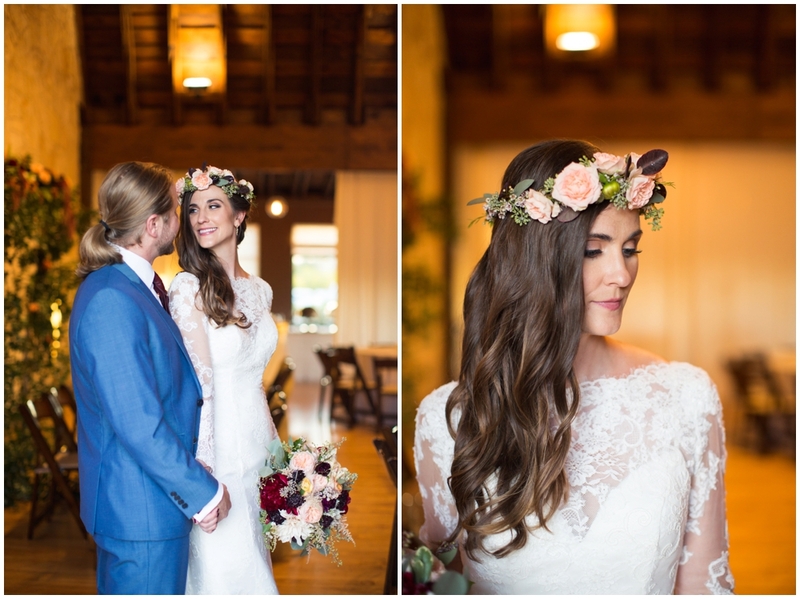 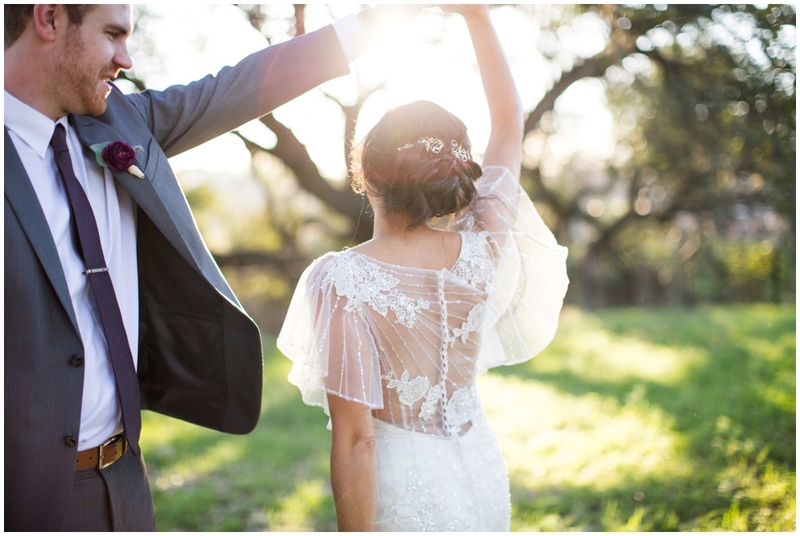 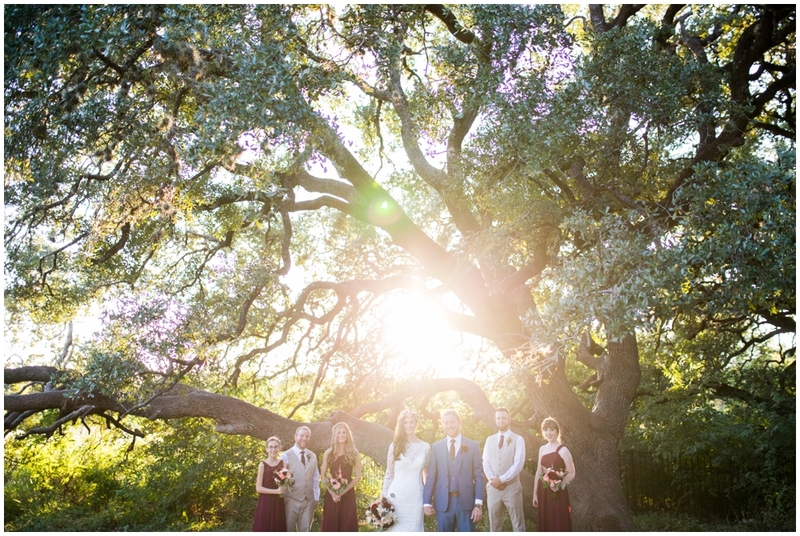 Austin Wedding Photographer: Katie & Marco! 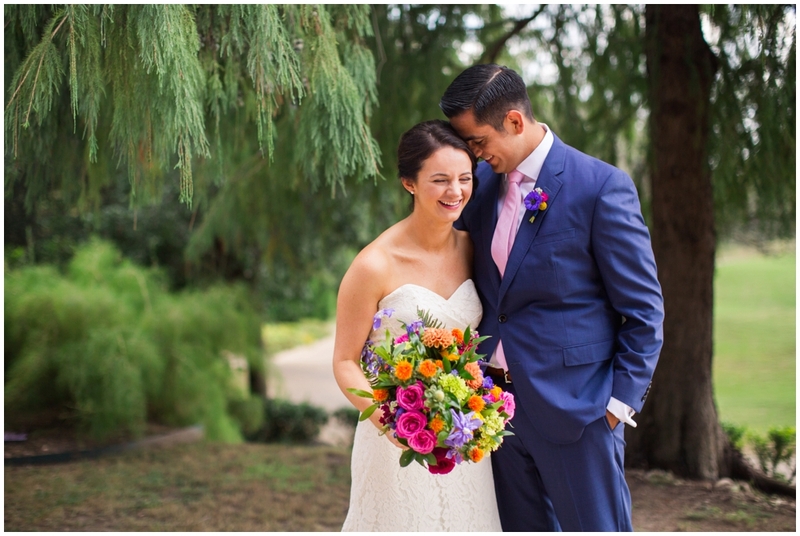 Park Wedding: Sarah & Patrick are married! 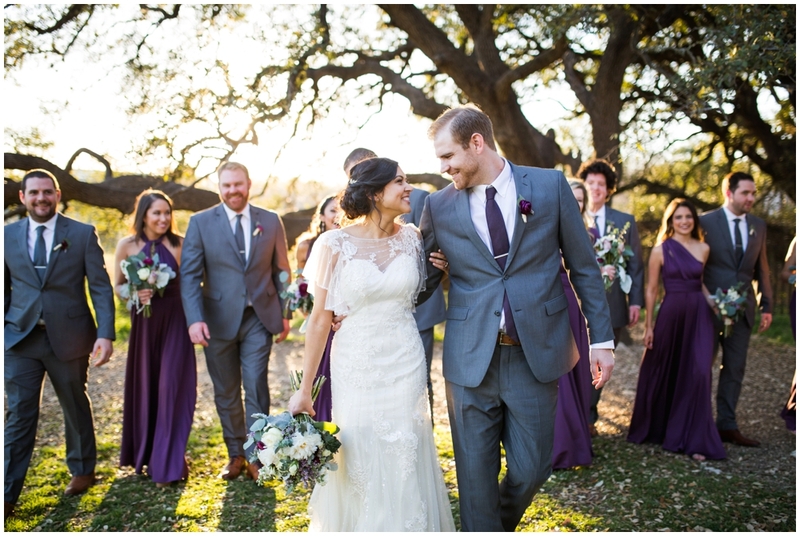 I think if you asked Sarah & Patrick what their perfect day would be, it would probably involve camping, Tacodeli, and hanging out all day with their favorite people in a riverside park on a gorgeous Austin spring day. 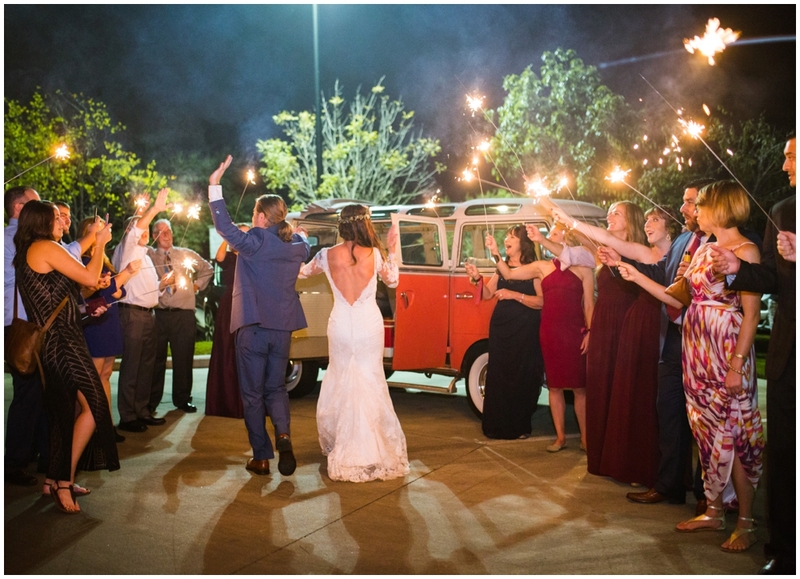 And shouldn't your wedding basically involve all your favorite things? 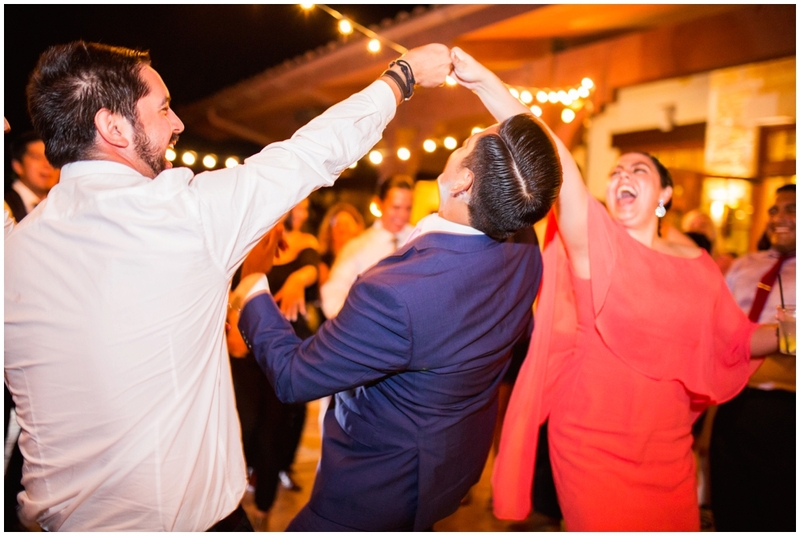 So that's how on a sunny spring morning, we all ended up on the banks of the Colorado River at Emma Long Park eating tacos, playing lawn games, and cheering on Sarah & Patrick's brand new marriage. 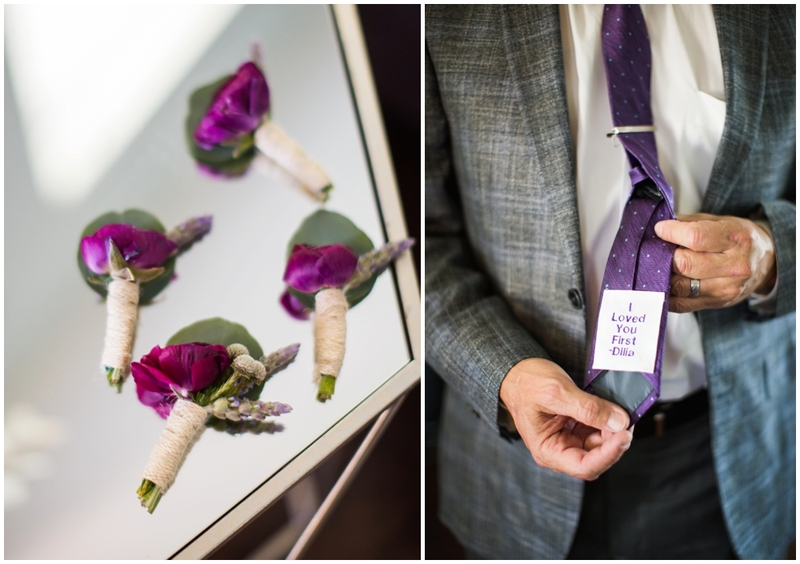 The wedding was infused with their passions and personality, with recycling reminders and tents and Patrick's colorful art. 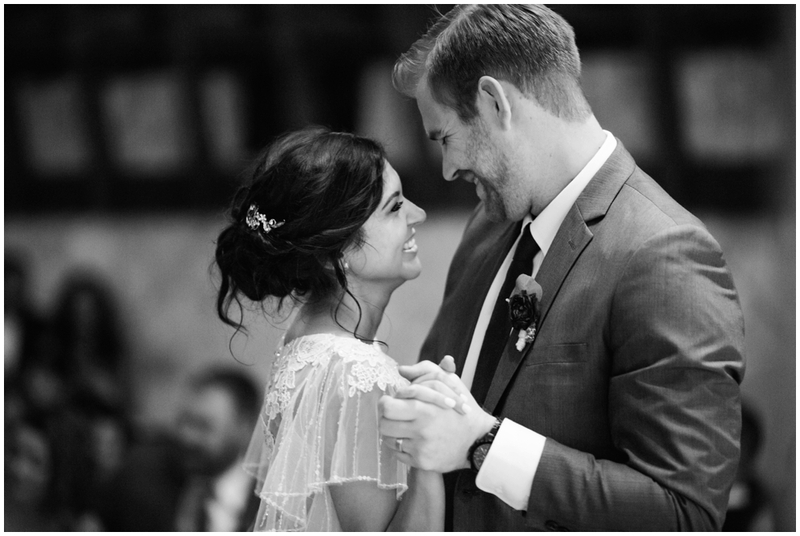 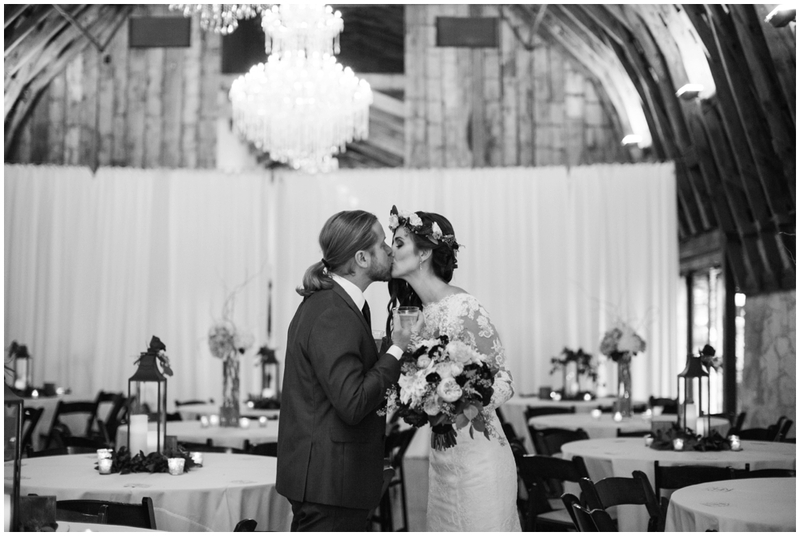 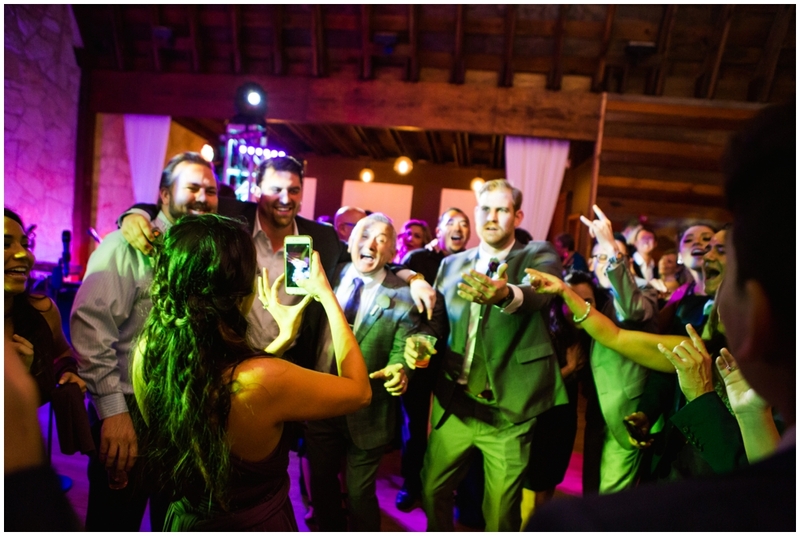 If you ever need encouragement to just do whatever the heck you want for your wedding, just come back and look at these photos! 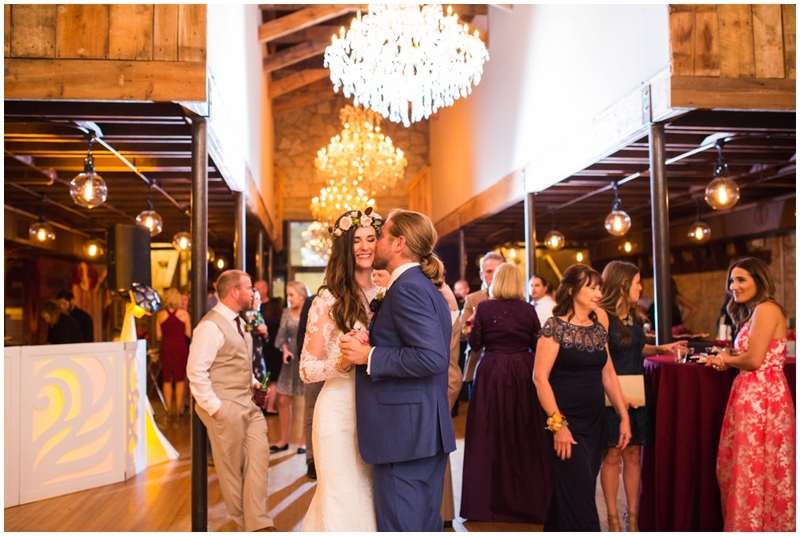 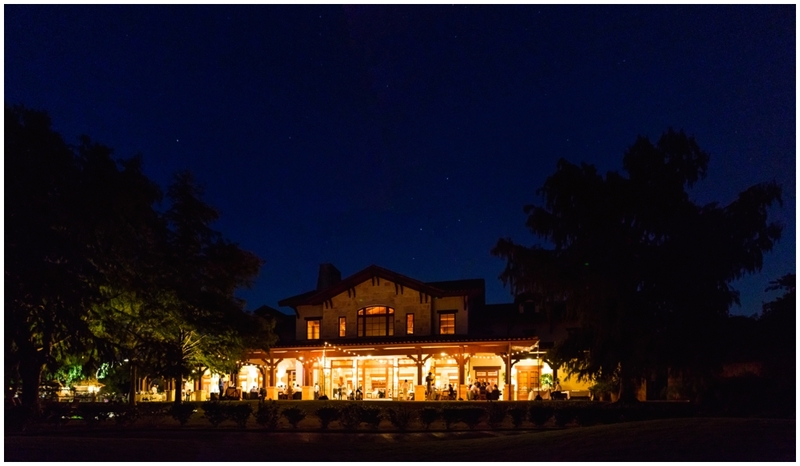 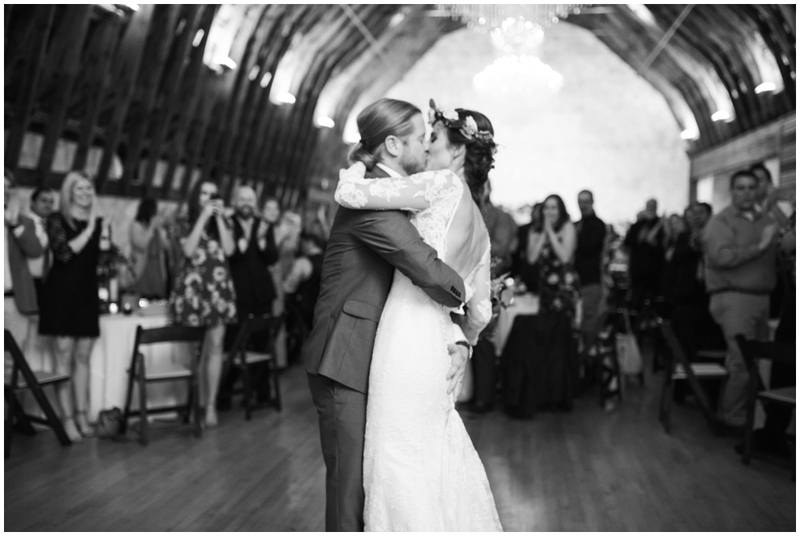 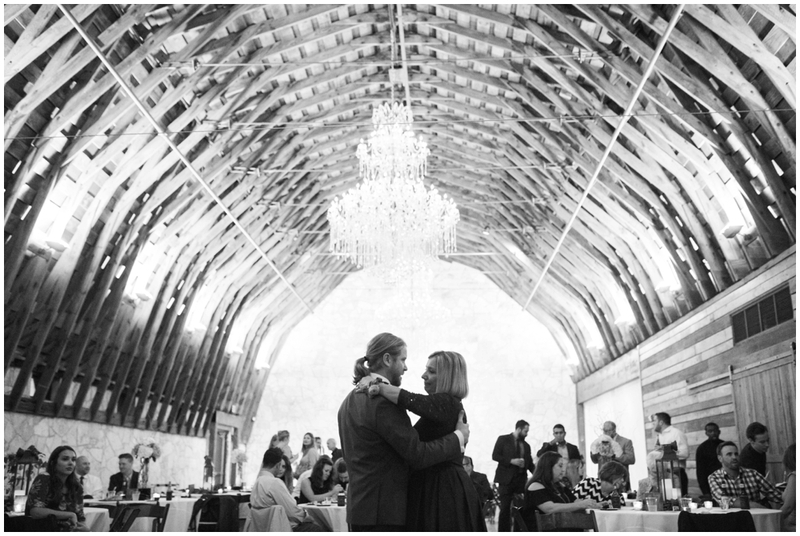 Mercury Hall Wedding: Brianna & Josh! 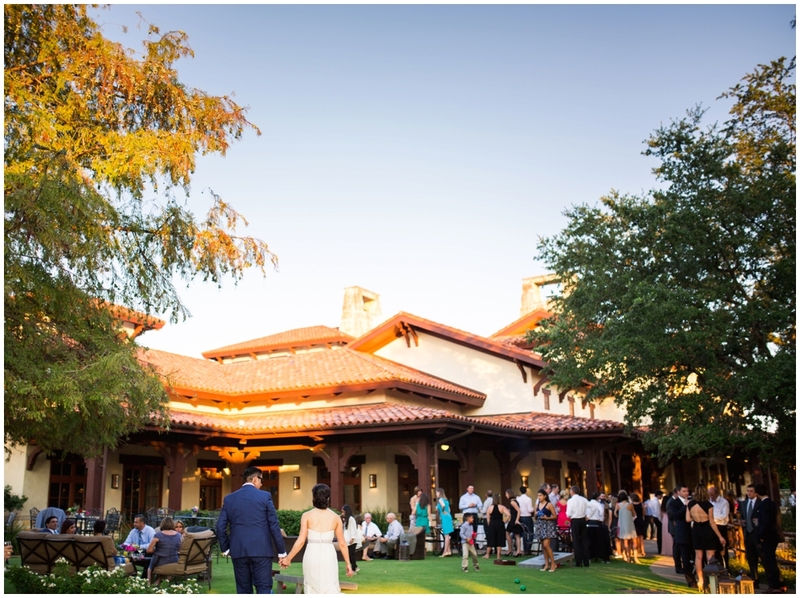 As Brianna & Josh's friends & family scurried around Mercury Hall on the afternoon of their wedding, I commented on how hard they were working to make everything perfect. 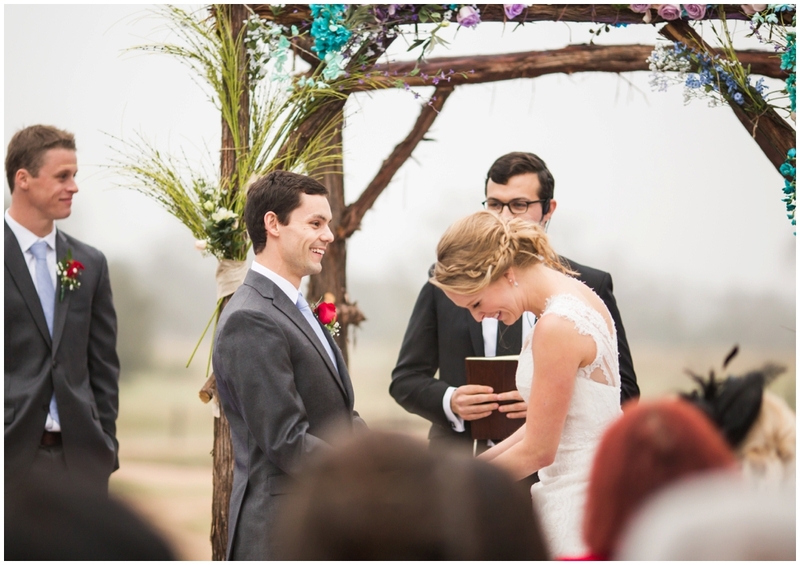 Several people replied with total sincerity, "They deserve it. 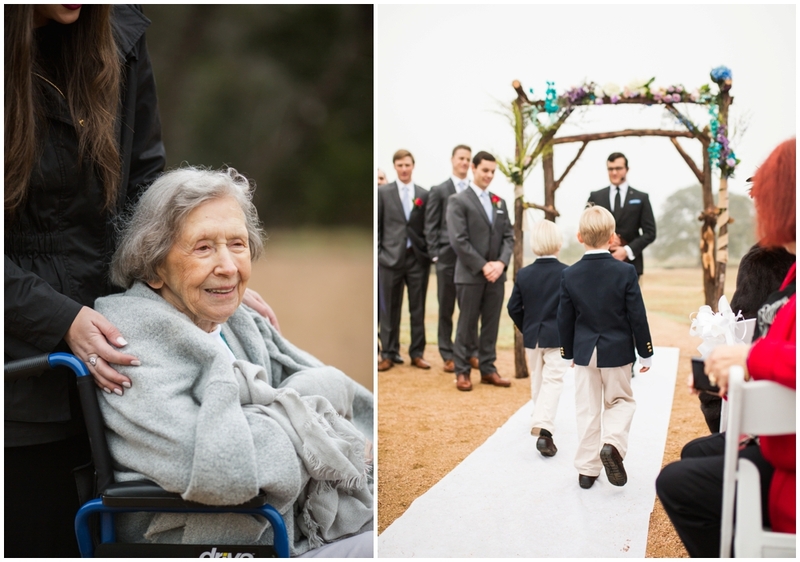 They would and have done the same for all of us." 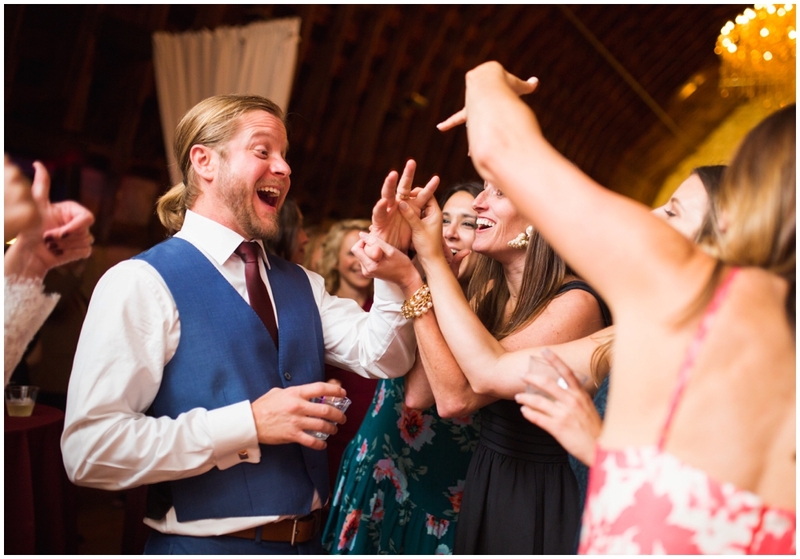 That spoke volumes about the kind of people Brianna & Josh are. 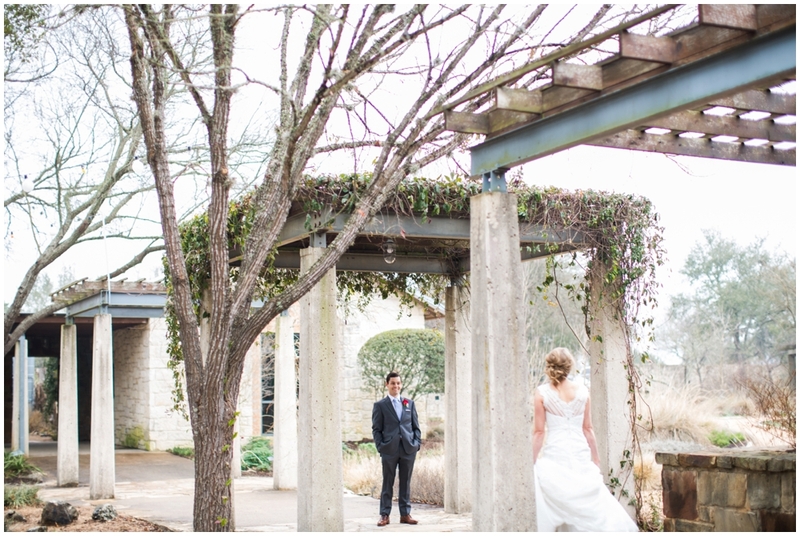 They love well and are loved well in return. 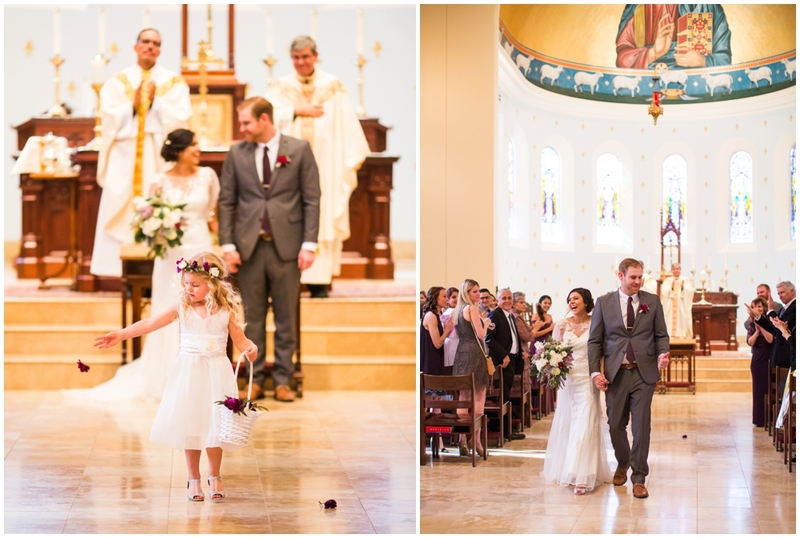 That love even extends to their sweet pup, too, who faithfully followed them around all day, never in the way, but always present. 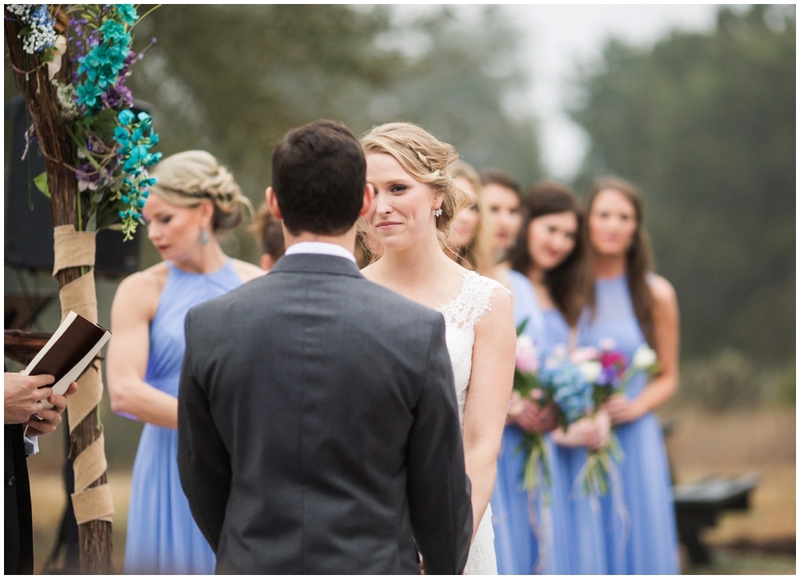 She even brought them the actual rings, during the ceremony! 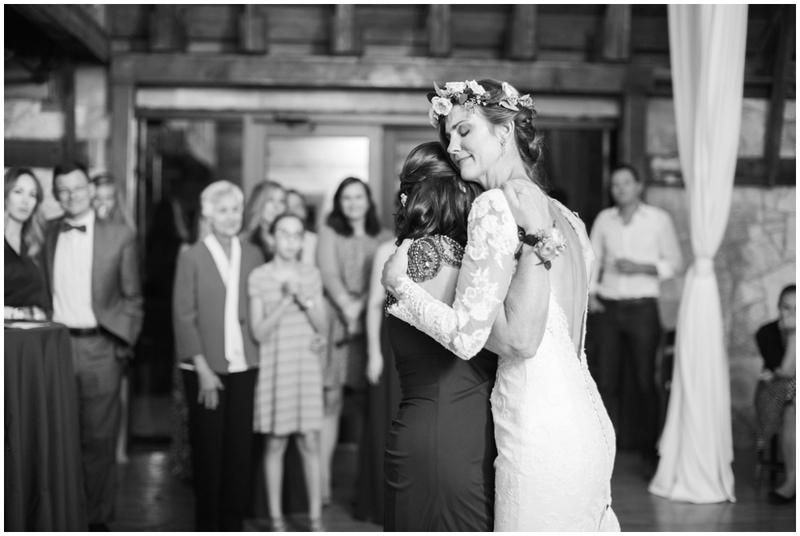 As always, it was an honor to witness and document such a heartfelt celebration of love!